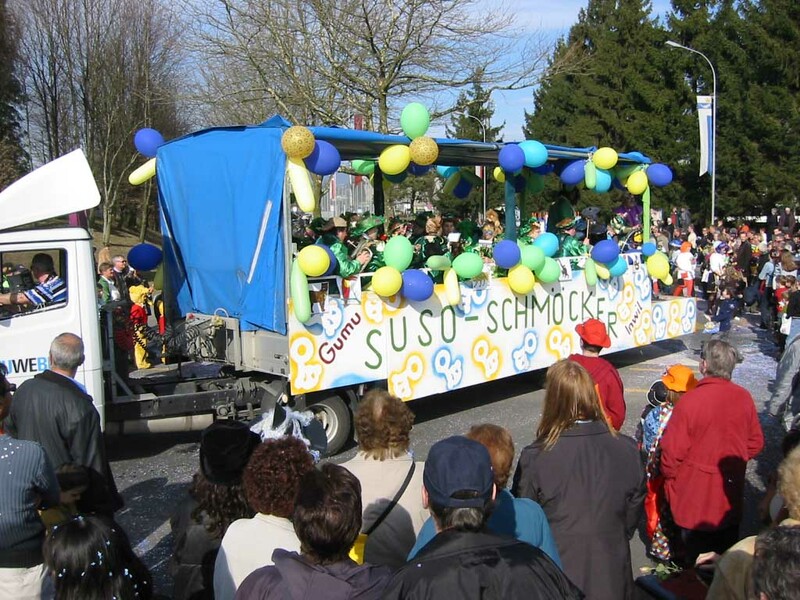 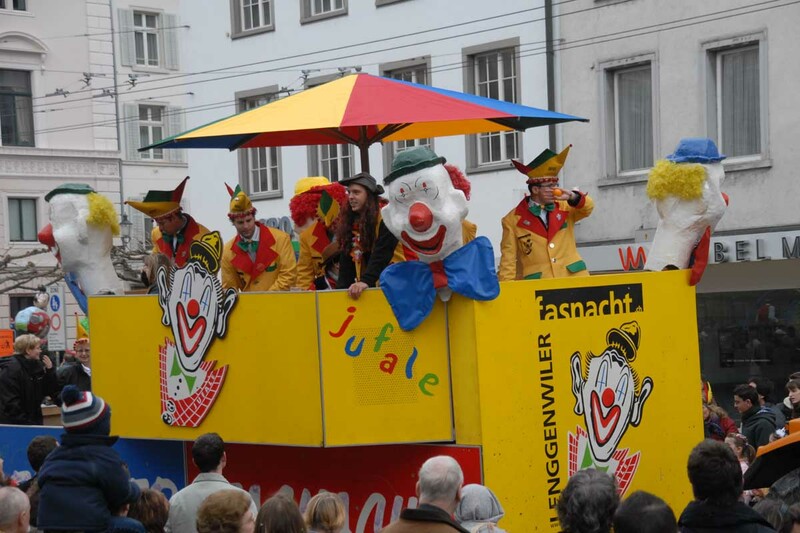 A carnival parade is a public celebration, combining some elements of a circus and public street party, generally during the Carnival Season. 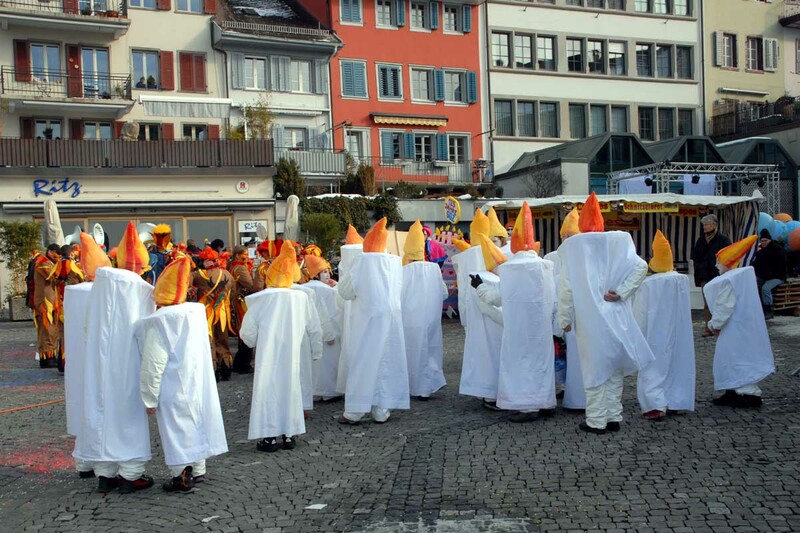 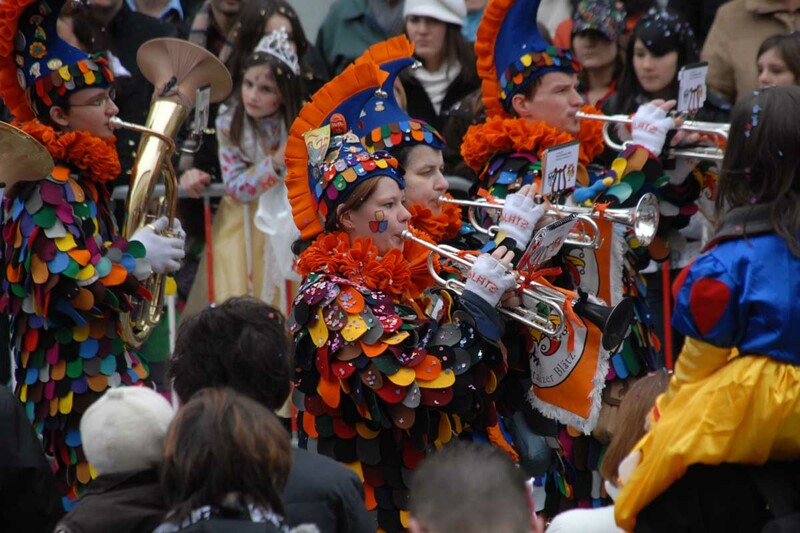 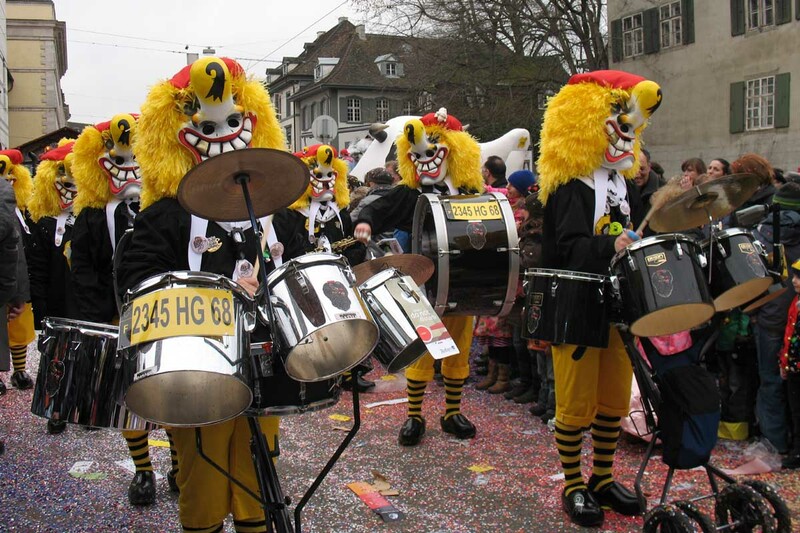 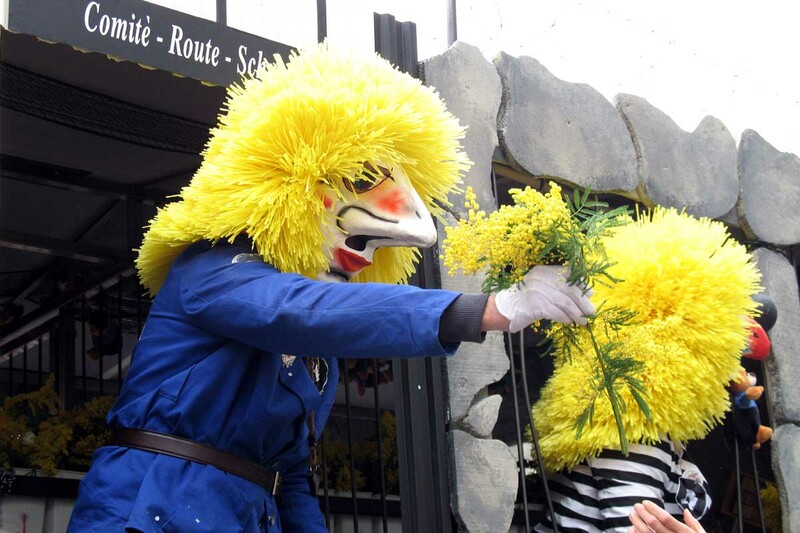 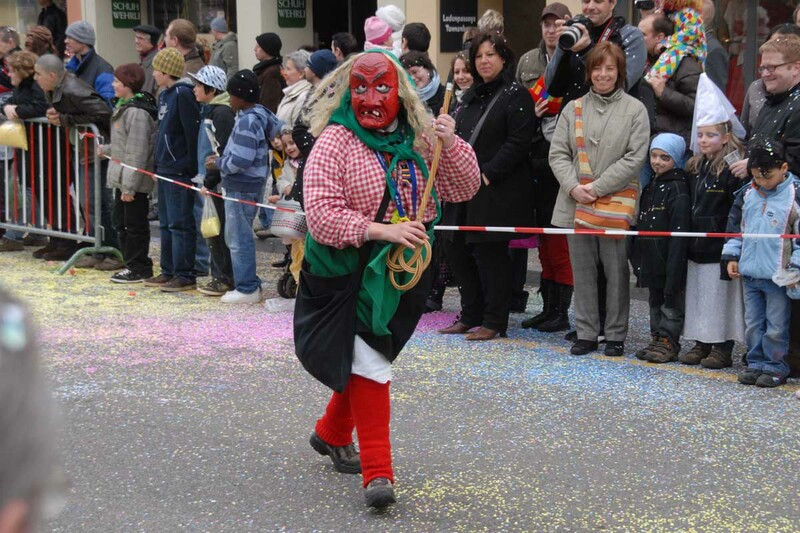 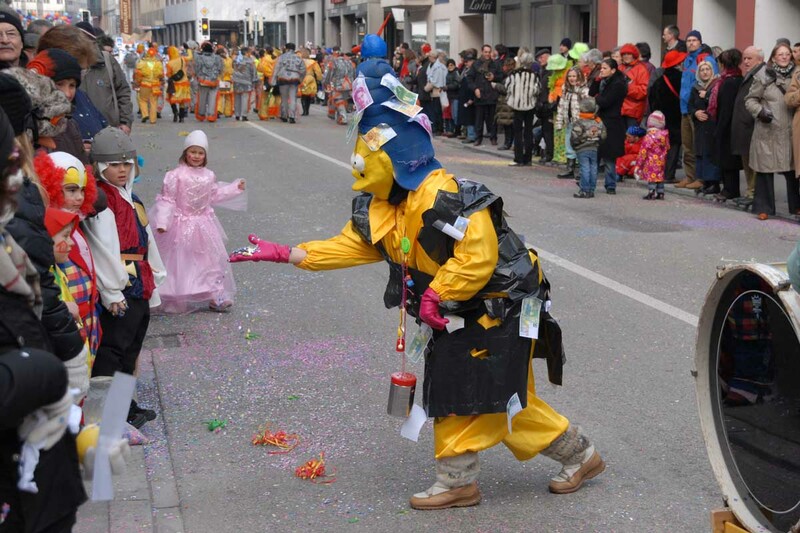 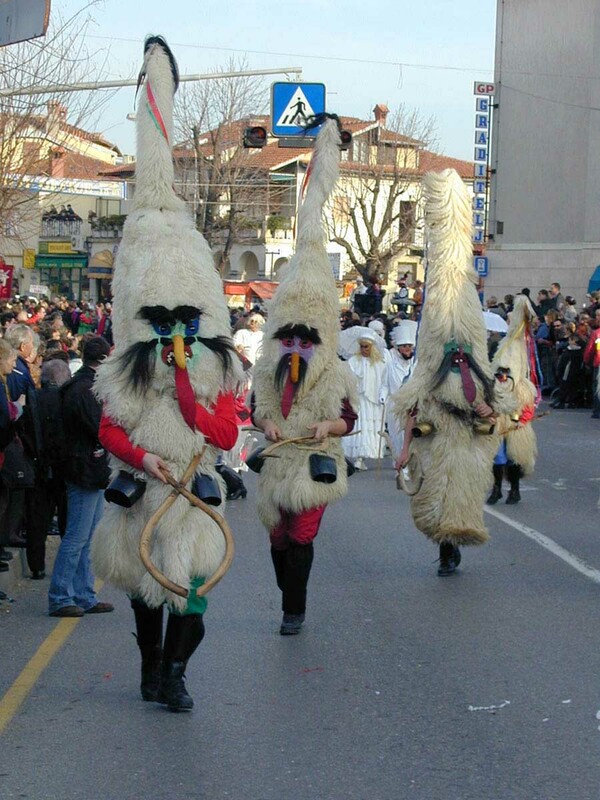 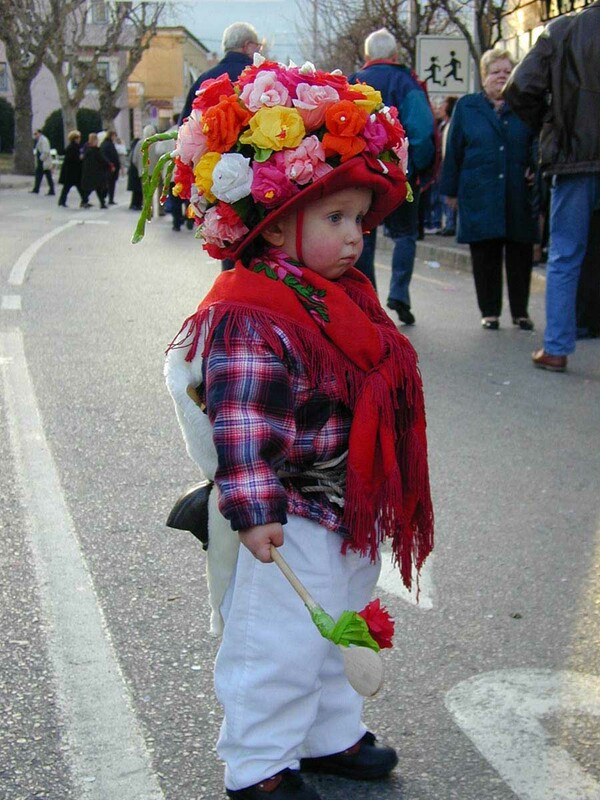 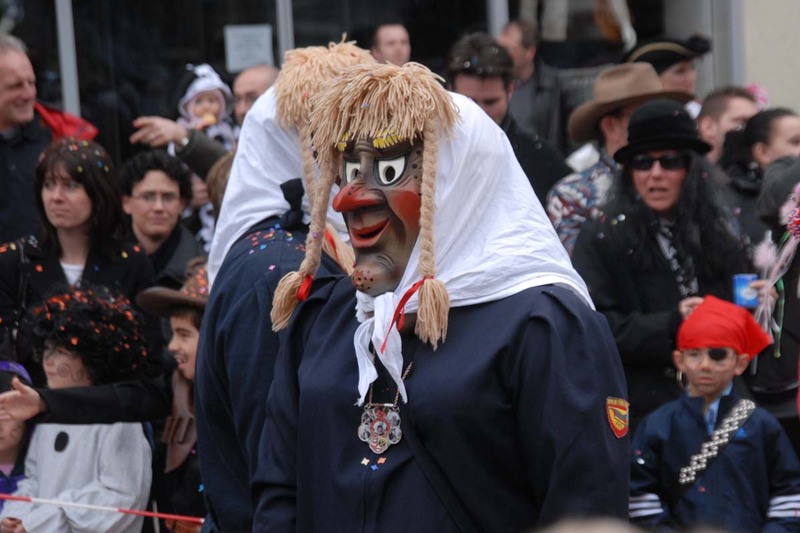 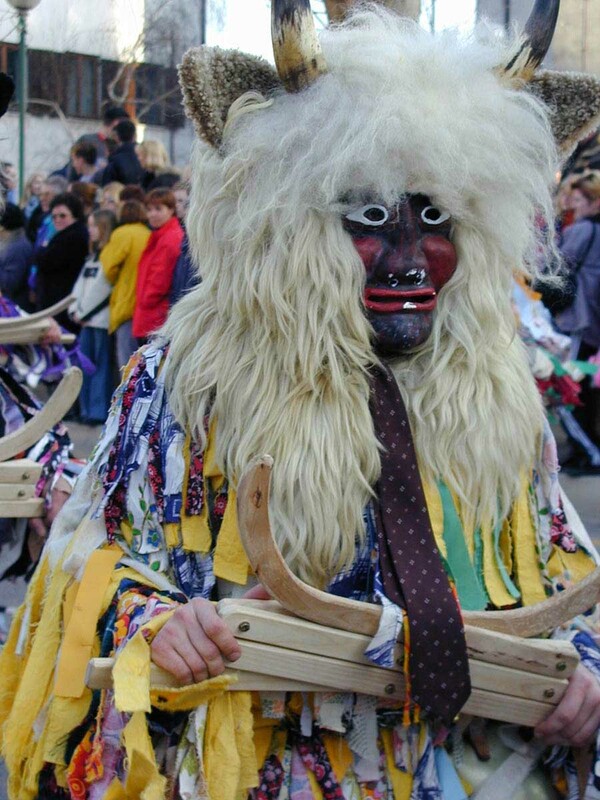 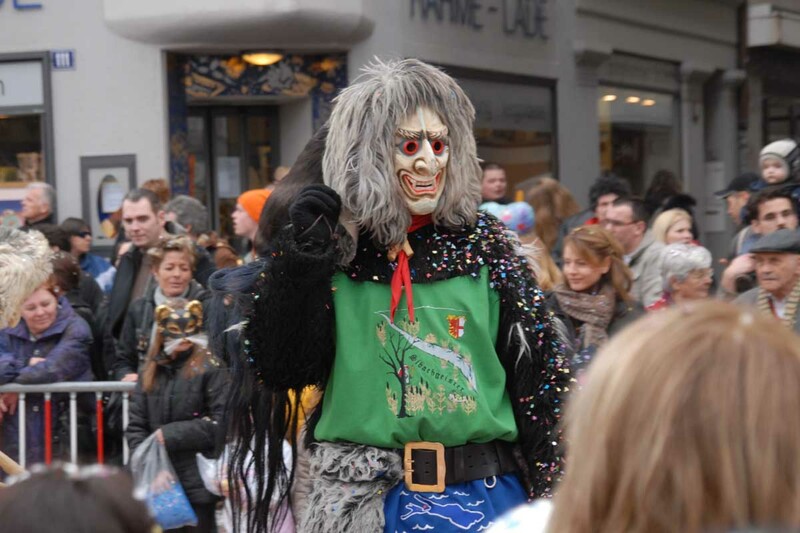 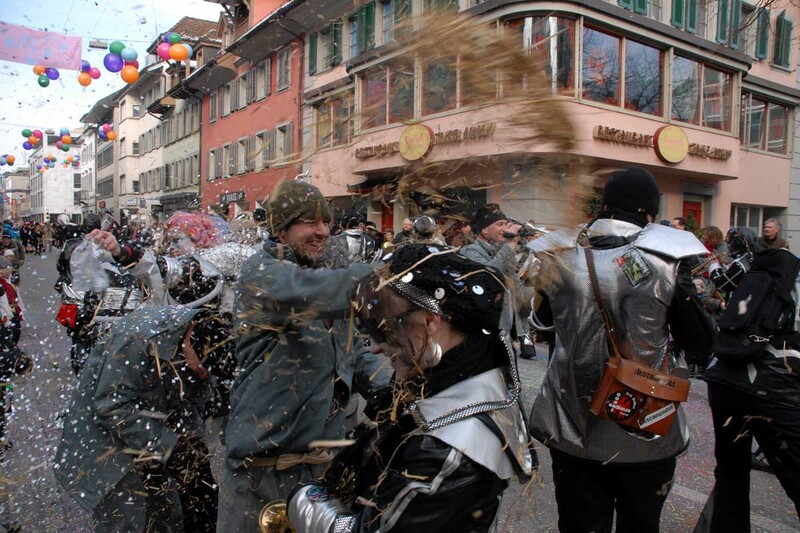 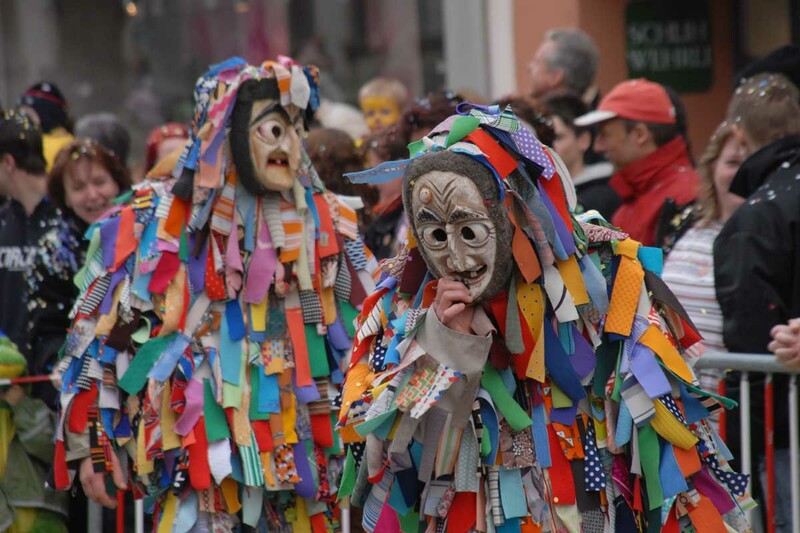 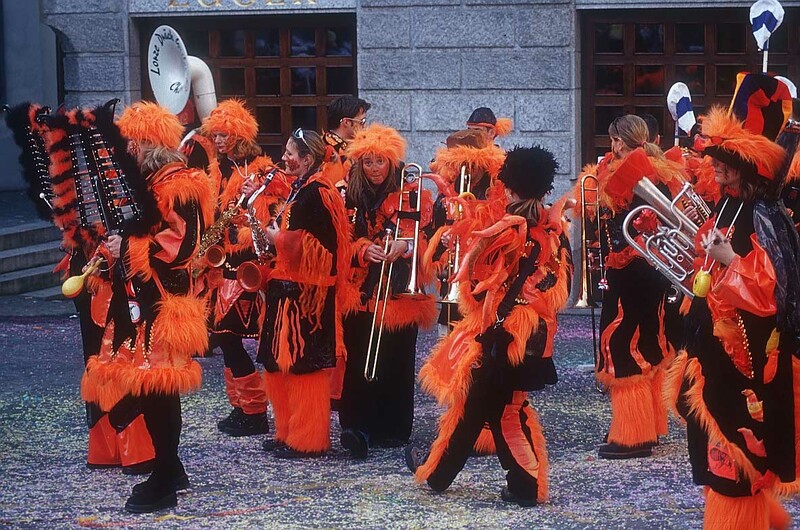 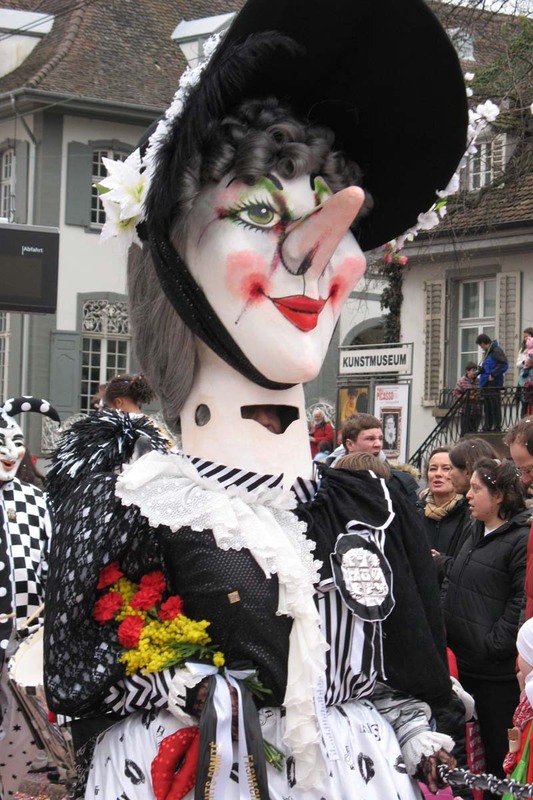 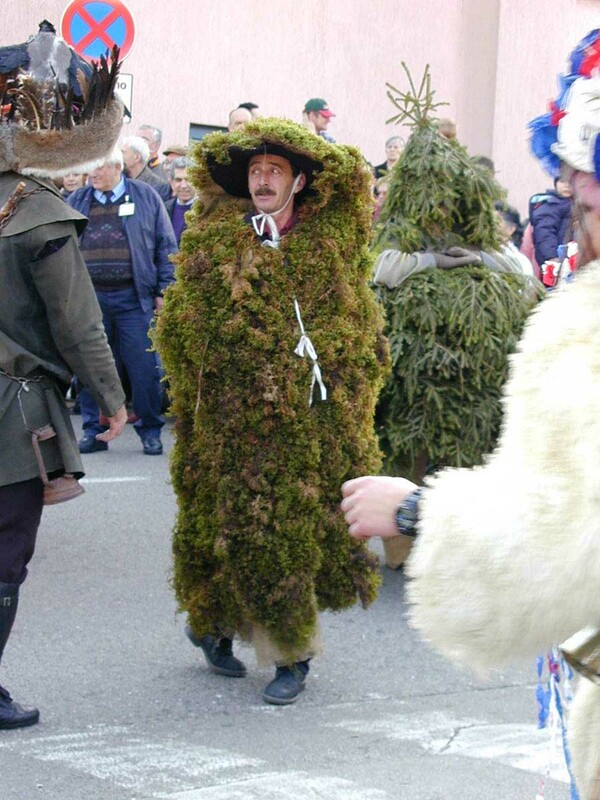 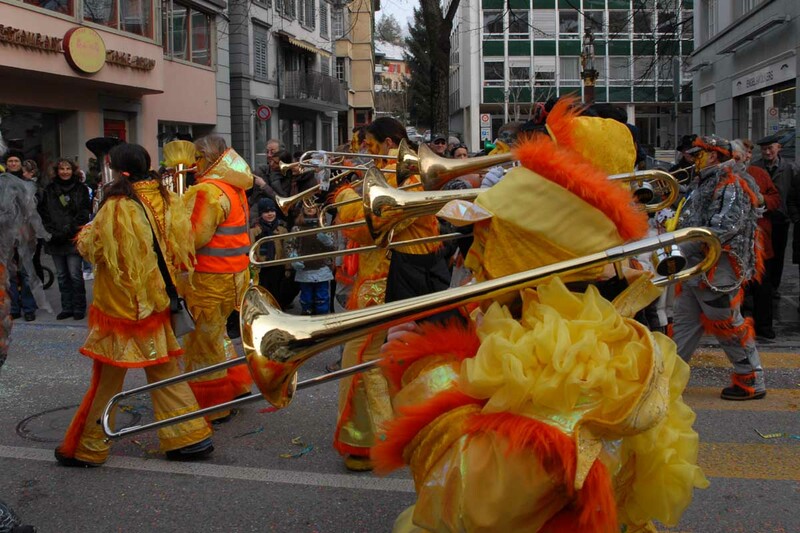 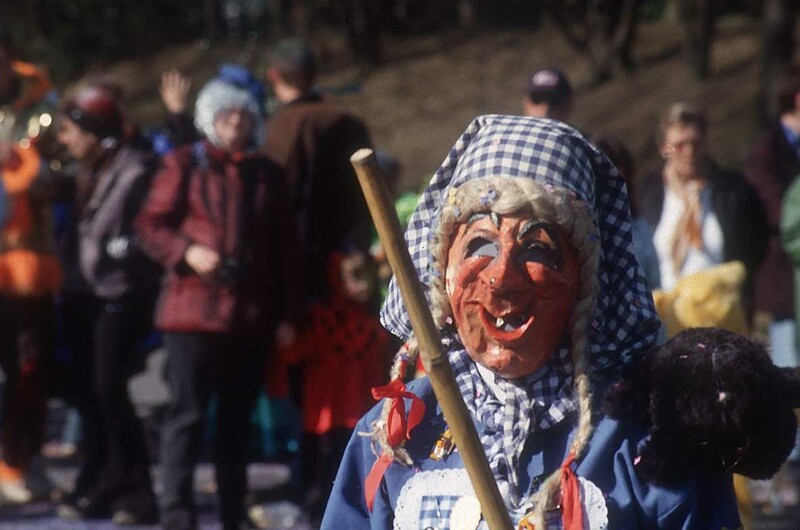 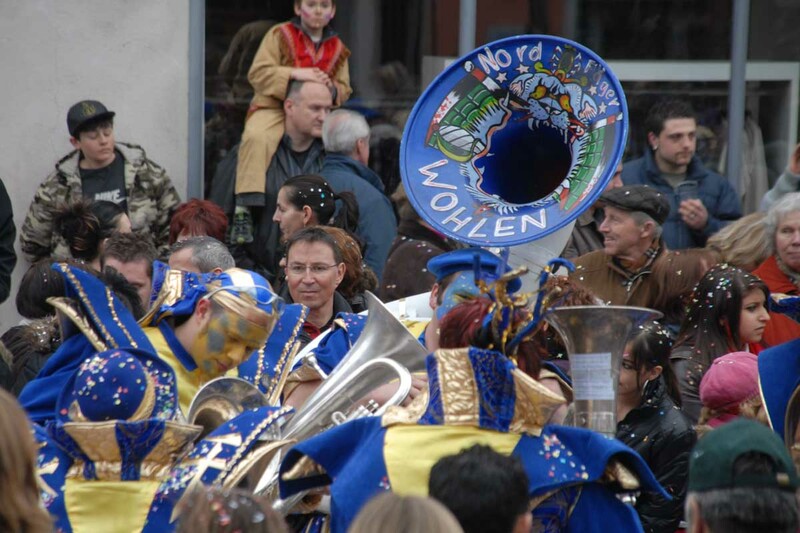 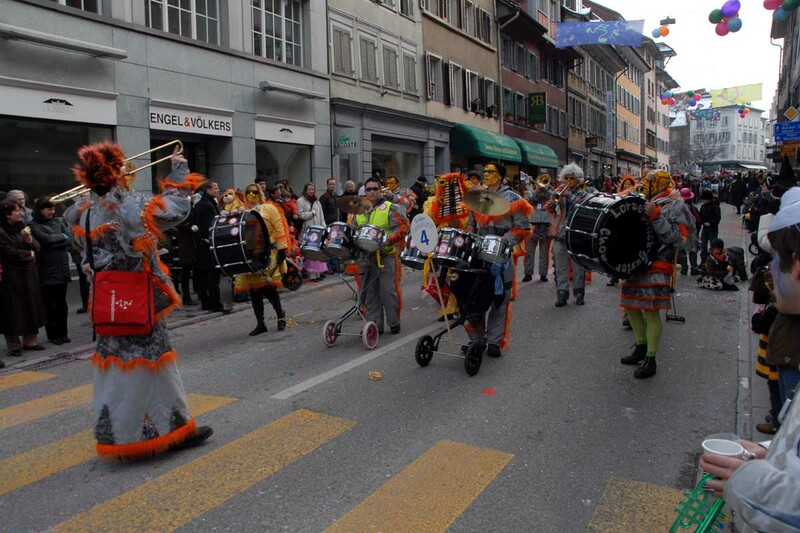 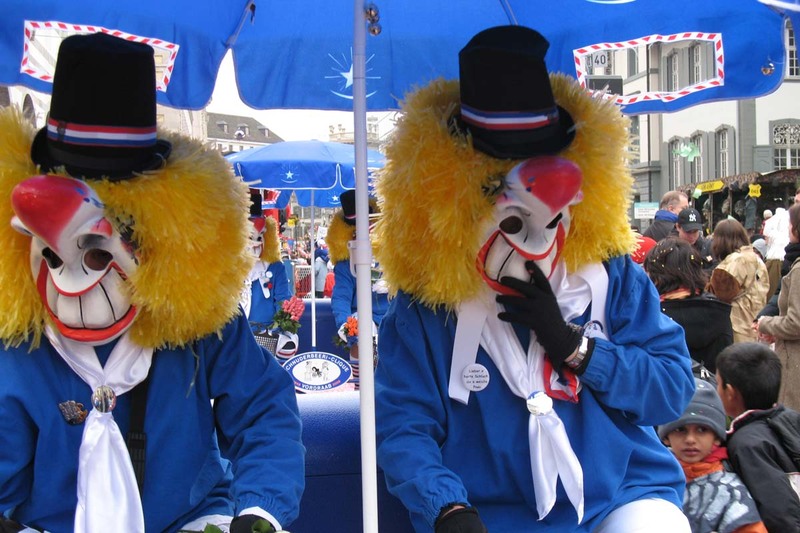 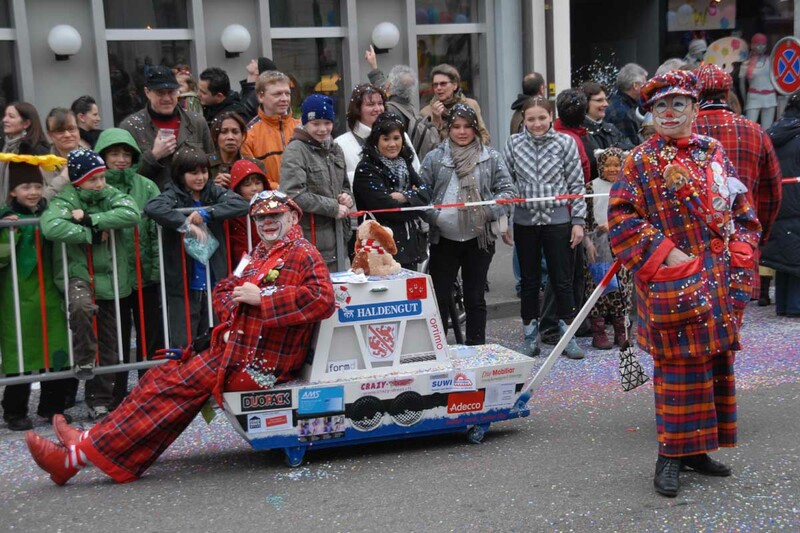 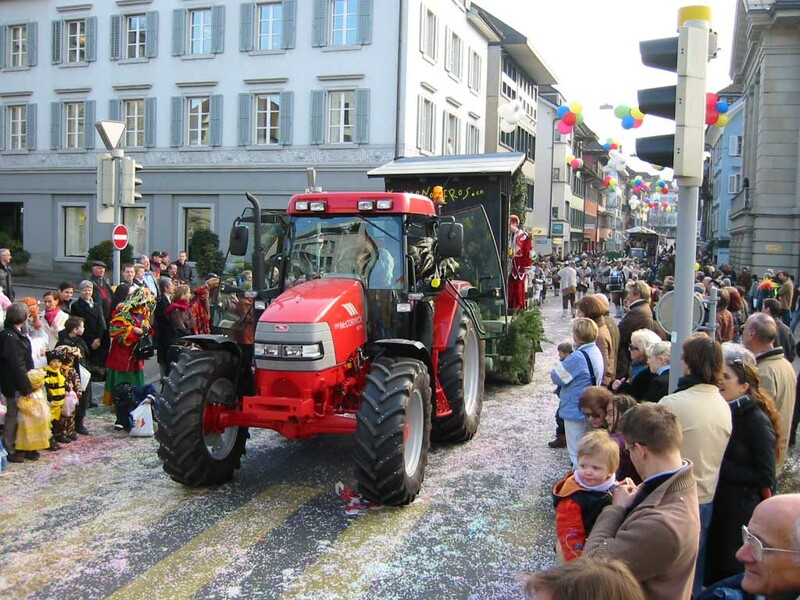 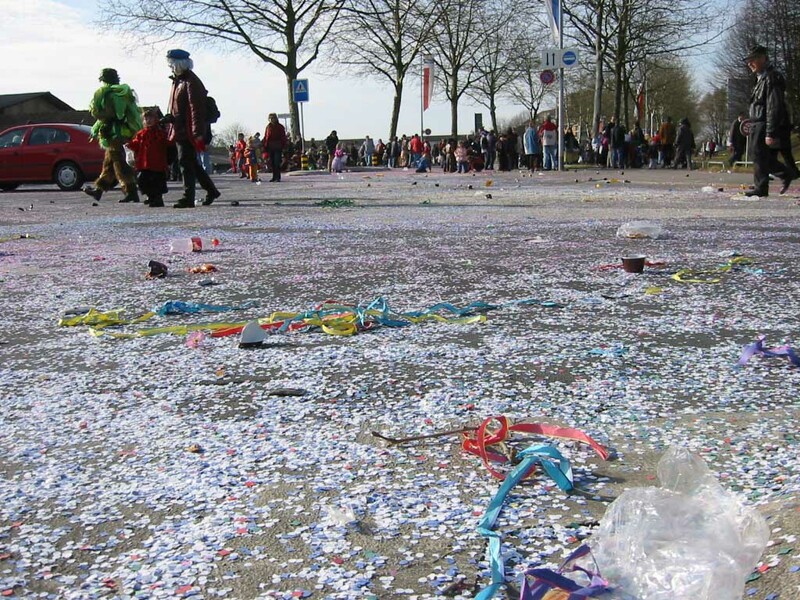 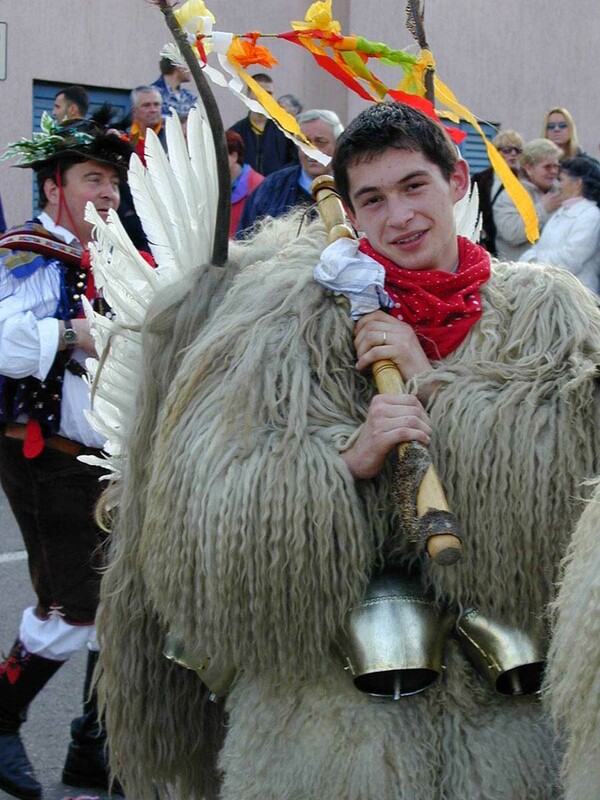 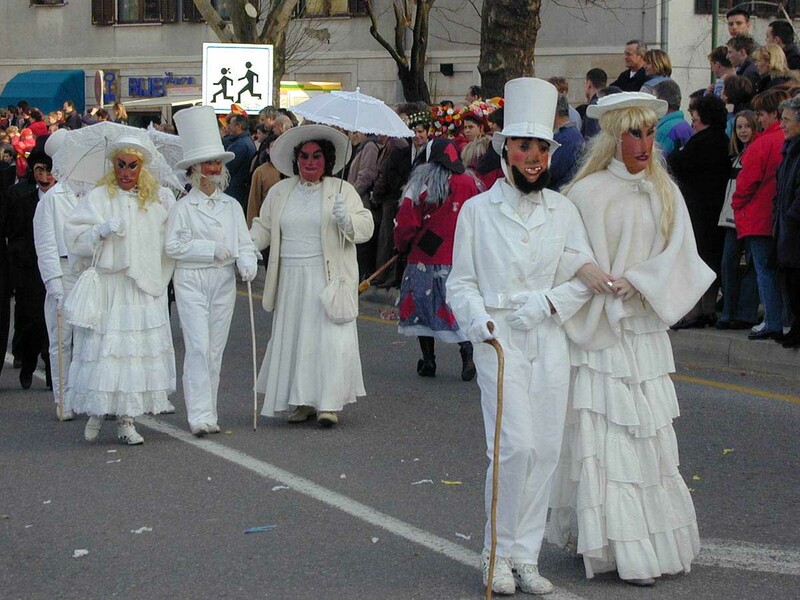 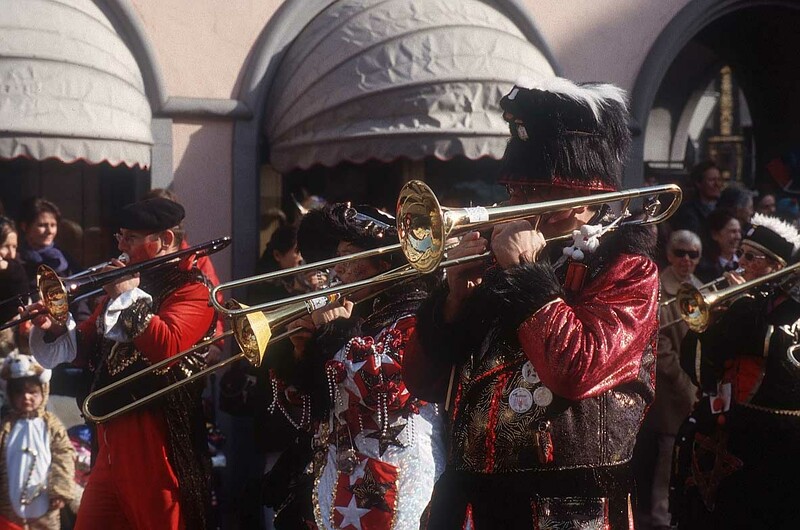 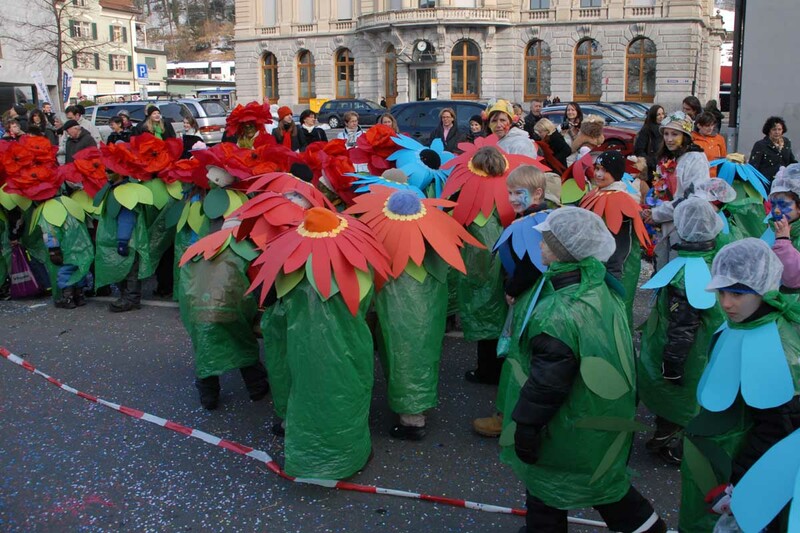 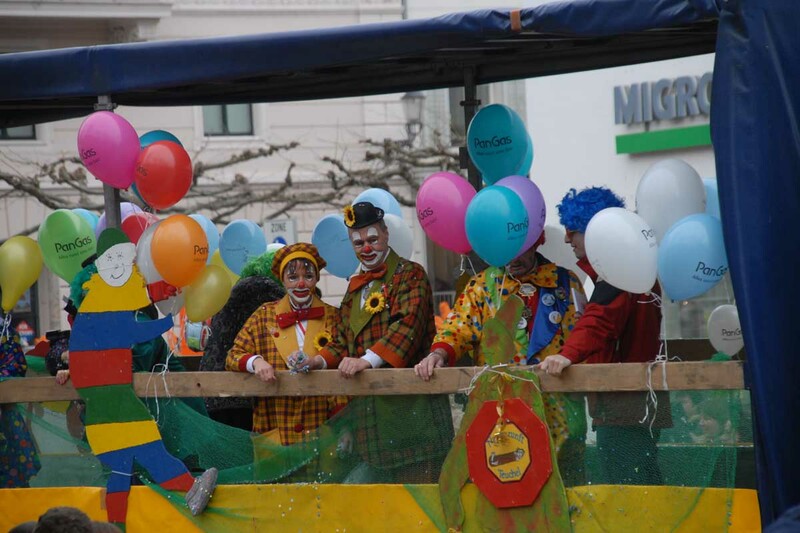 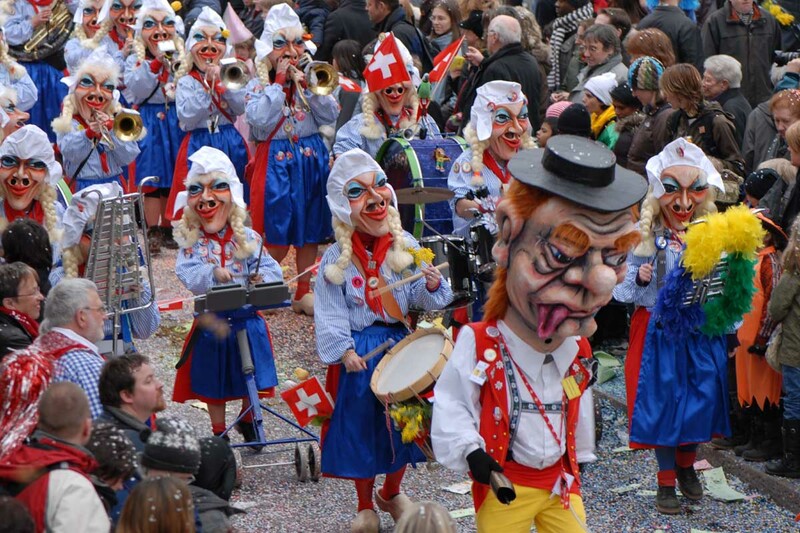 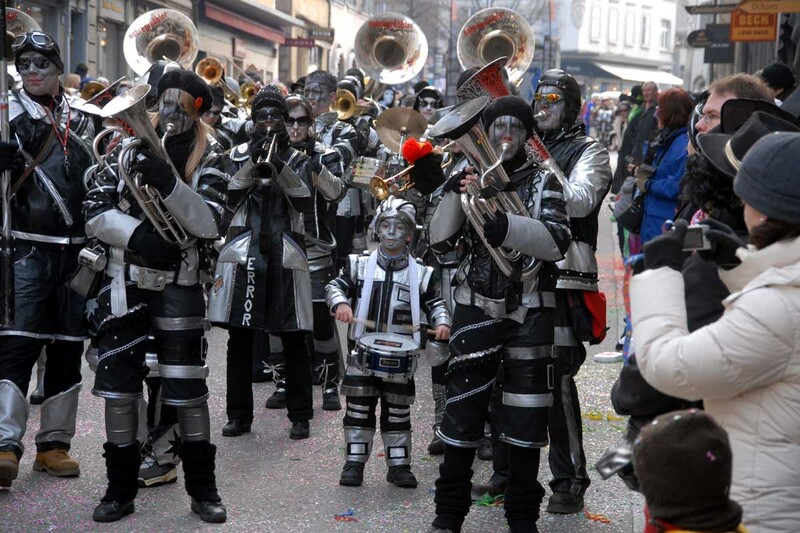 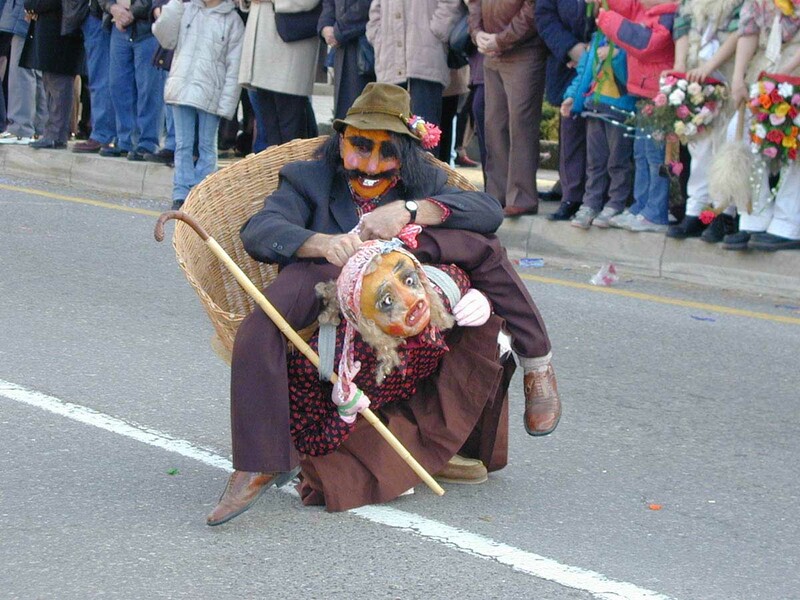 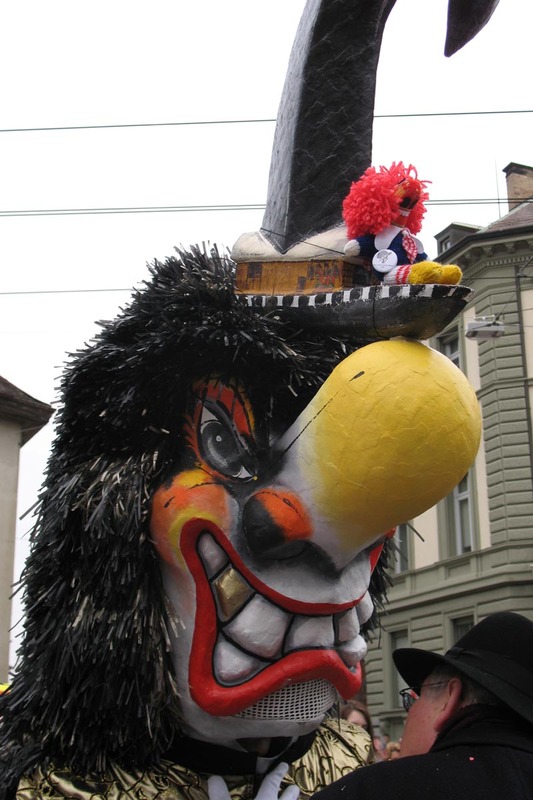 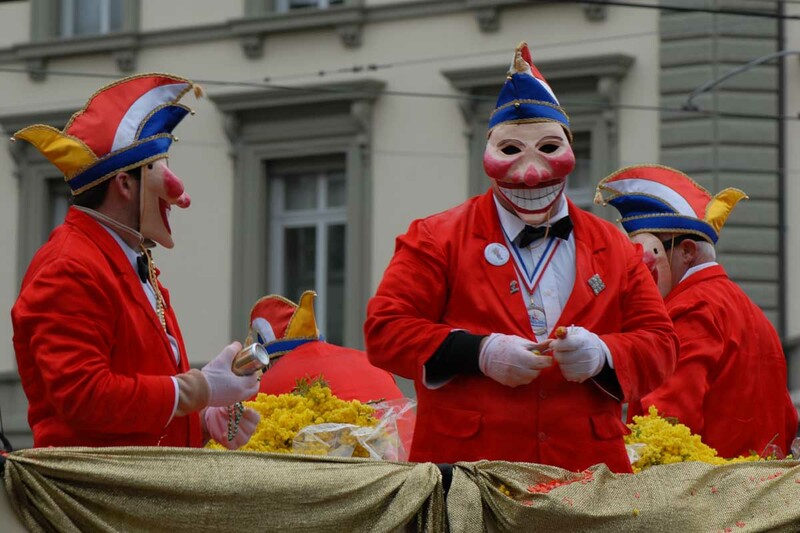 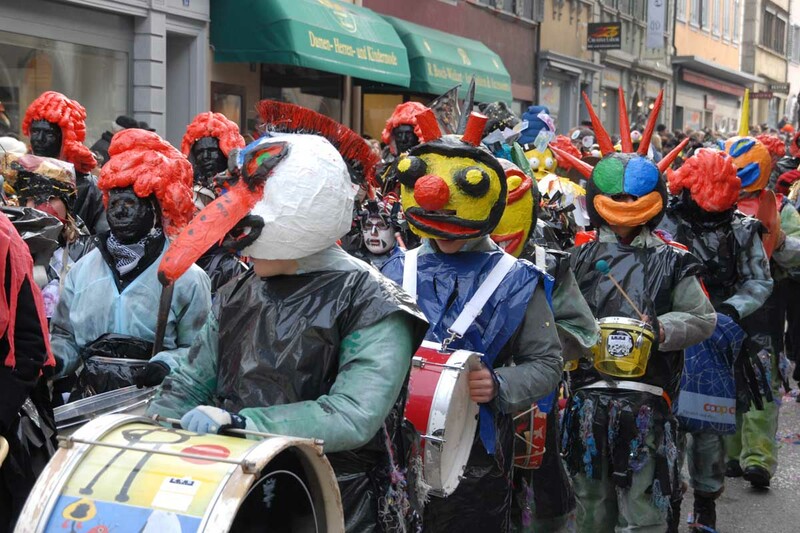 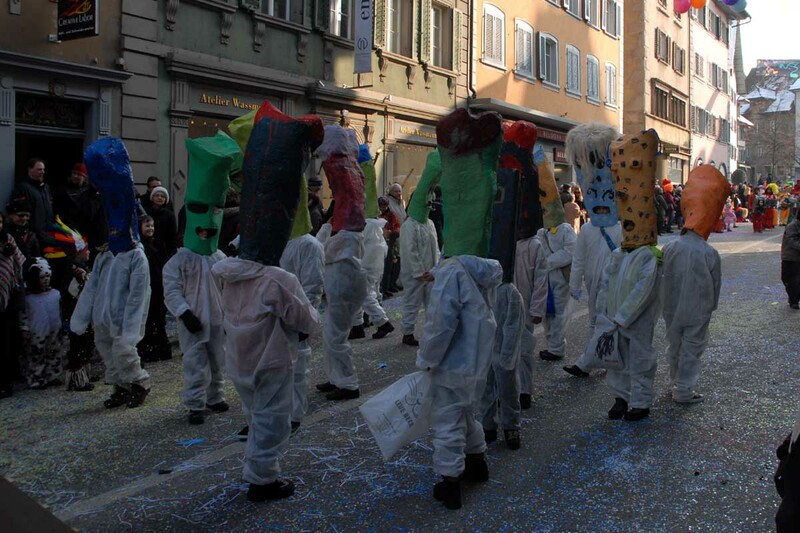 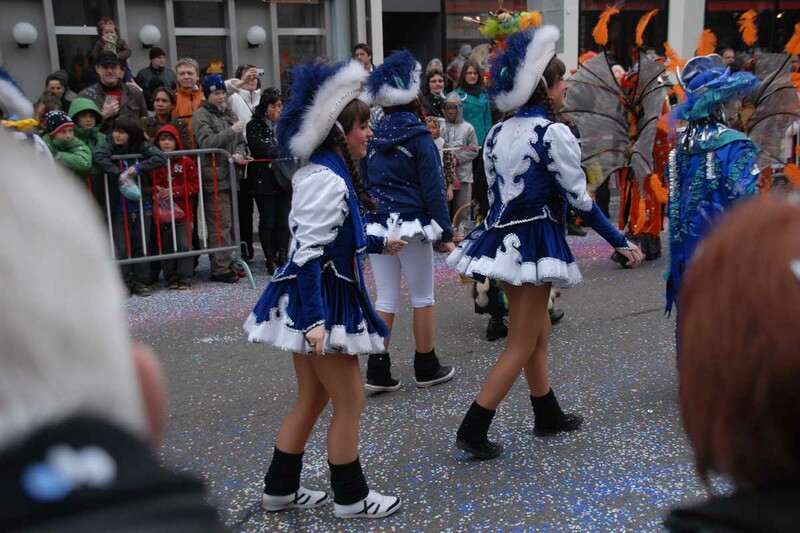 The Carnival Season is a holiday period during the two weeks before the traditional Christian fast of Lent. 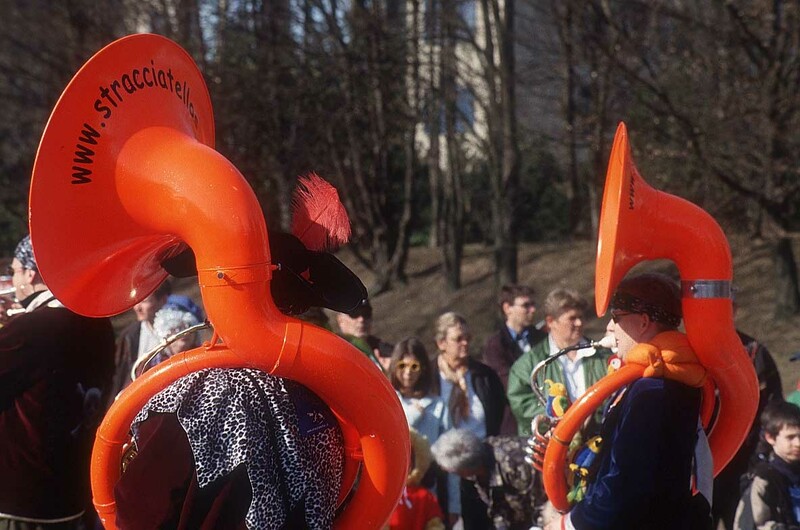 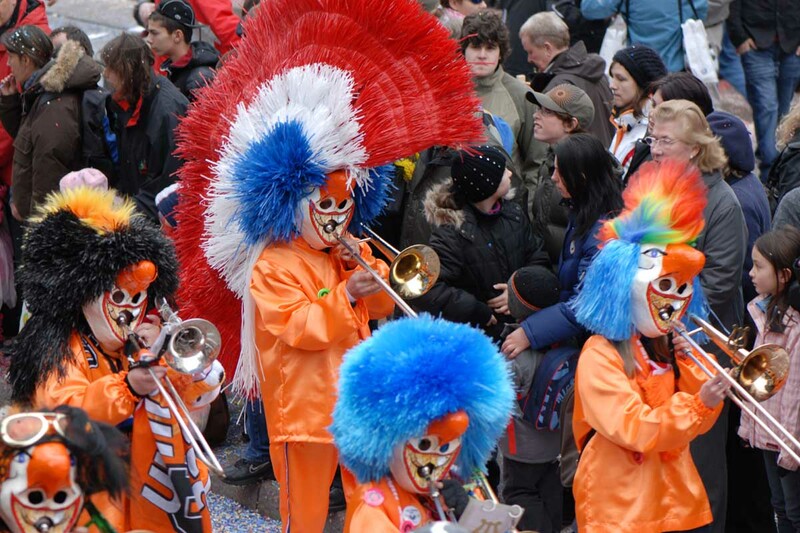 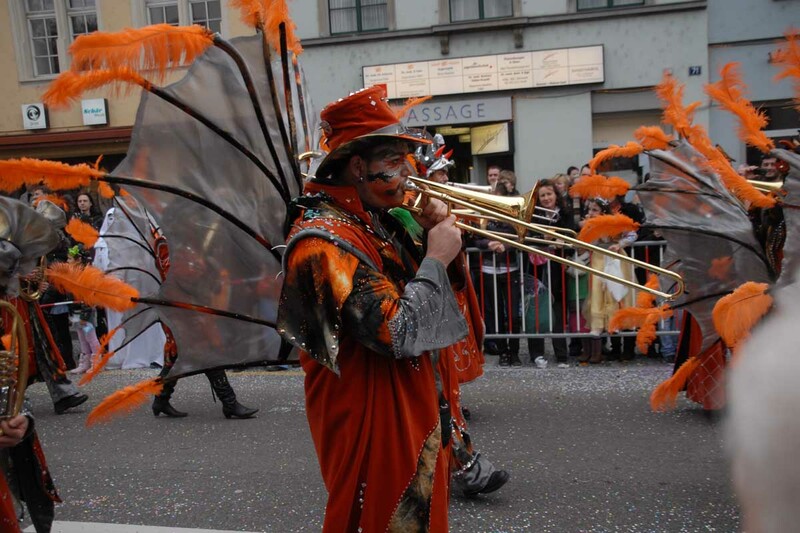 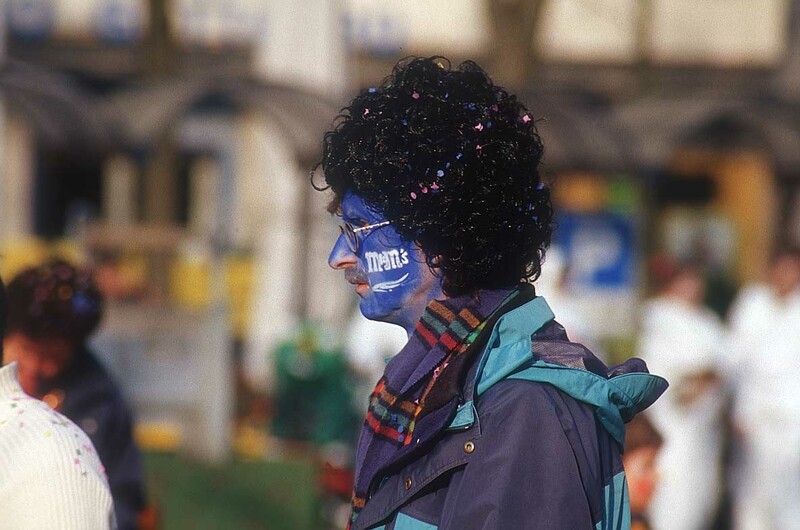 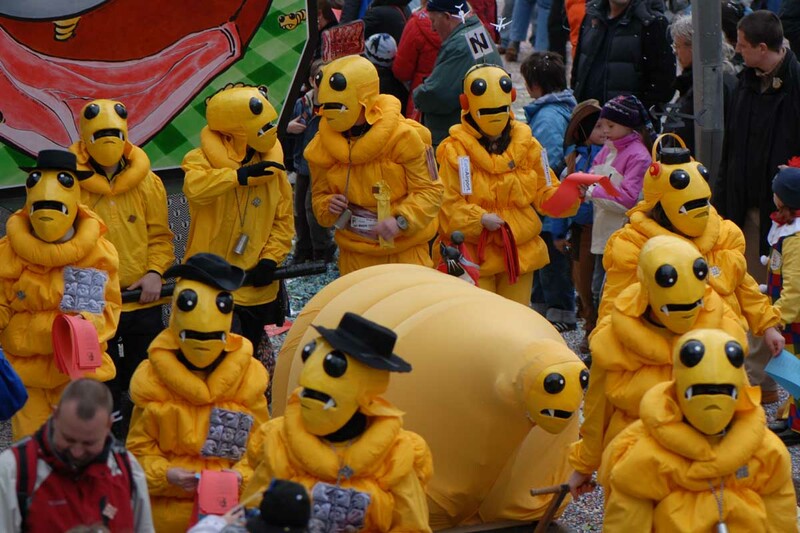 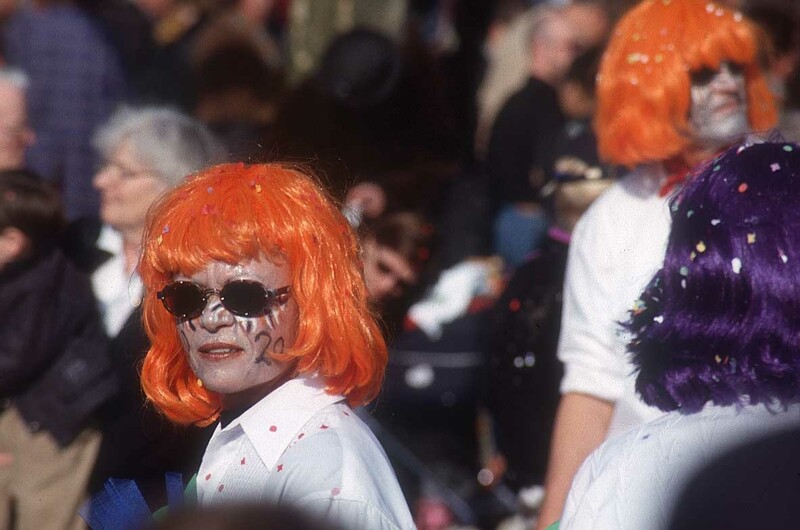 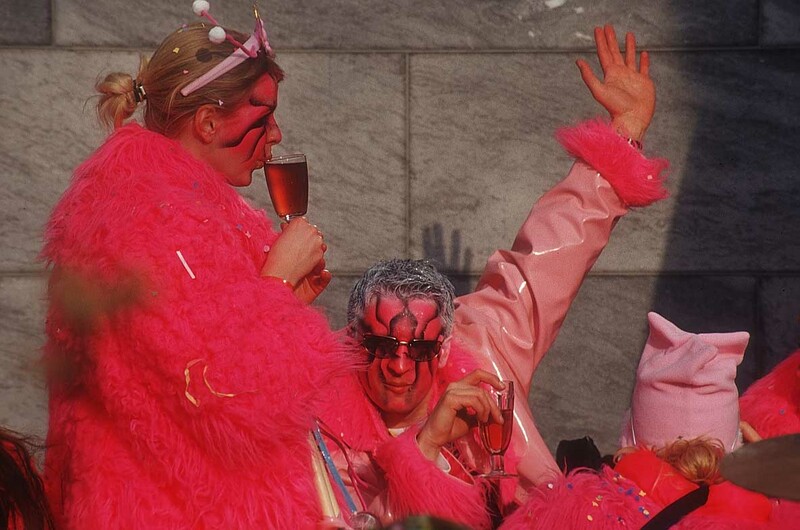 The origin of the name "Carnival" is unclear as there are two theories. 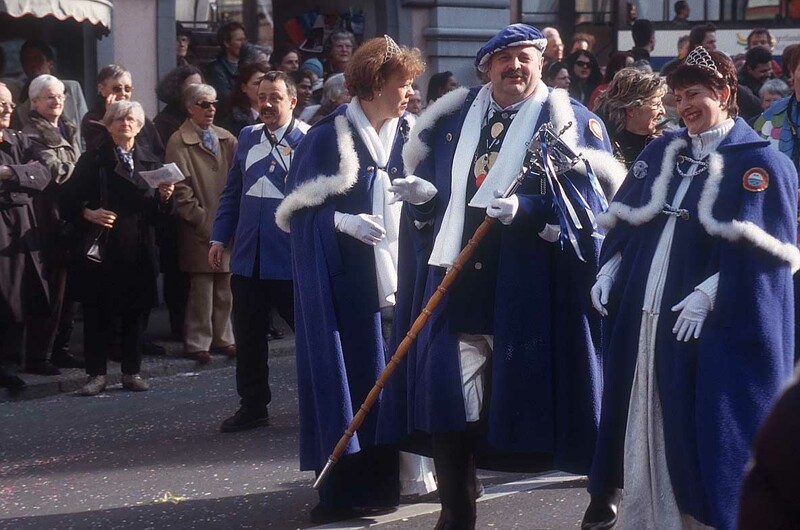 The most commonly known theory states that the name comes from the Italian carne- or carnovale, from Latin carnem (meat) + levare (lighten or raise), literally "to remove the meat" or "stop eating meat". 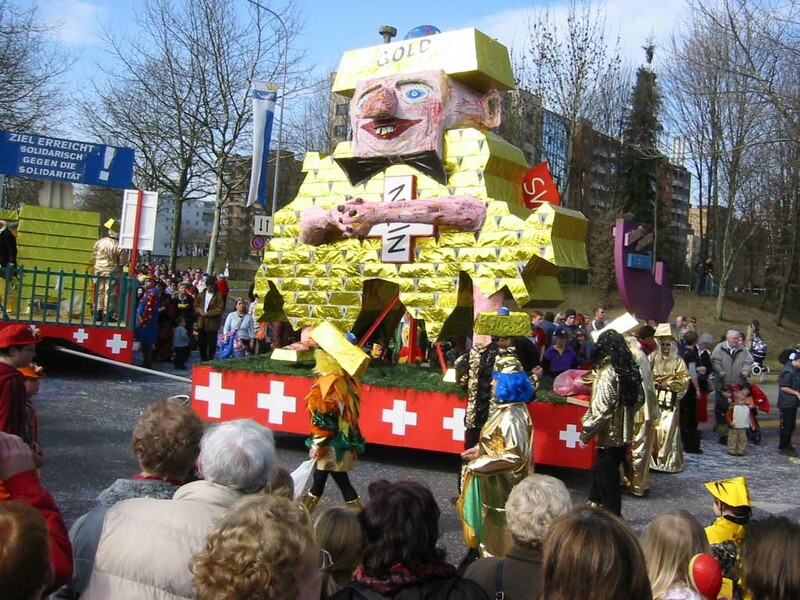 The other theory states that it originates from the Latin carrus navalis, which was some kind of Greek cart carrying a statue of a god in a religious procession at the annual festivities in honour of the god Apollo. 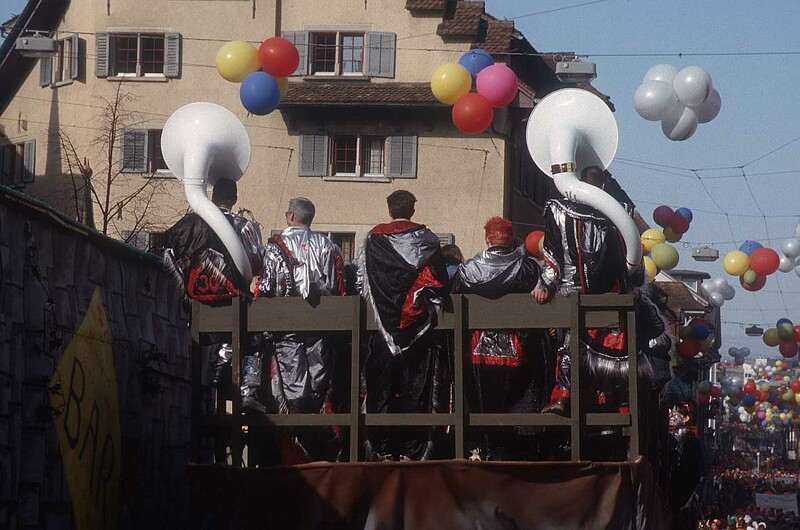 Most commonly the season began on Septuagesima Sunday, the third from the last Sunday before Ash Wednesday, but in some places it started as early as Twelfth Night, continuing until Lent. 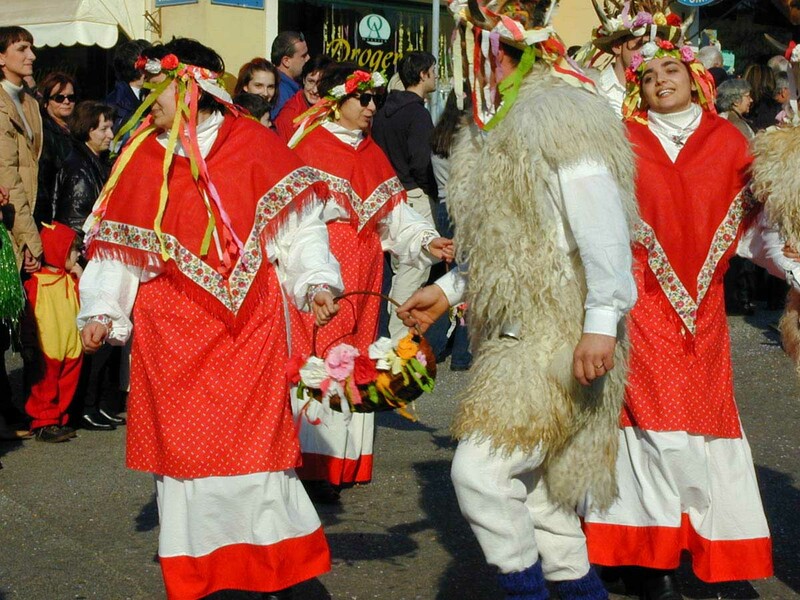 This period of celebration and partying had its origin in the need to use up all remaining meat and animal products such as eggs and butter before the fasting season. 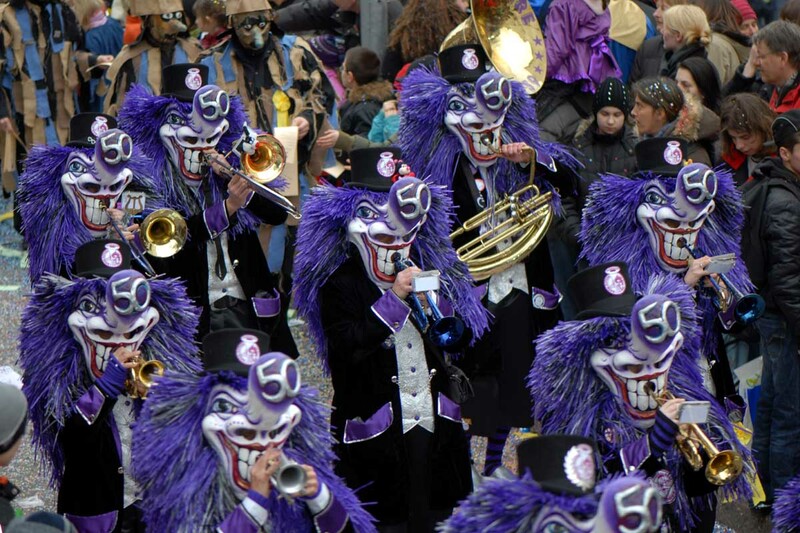 The celebration of Carnival ends on "Mardi Gras" (French for "Fat Tuesday", meaning Shrove Tuesday), the day before Ash Wednesday, when the rigours of Lent's 40 days of fasting and sacrifice begin. 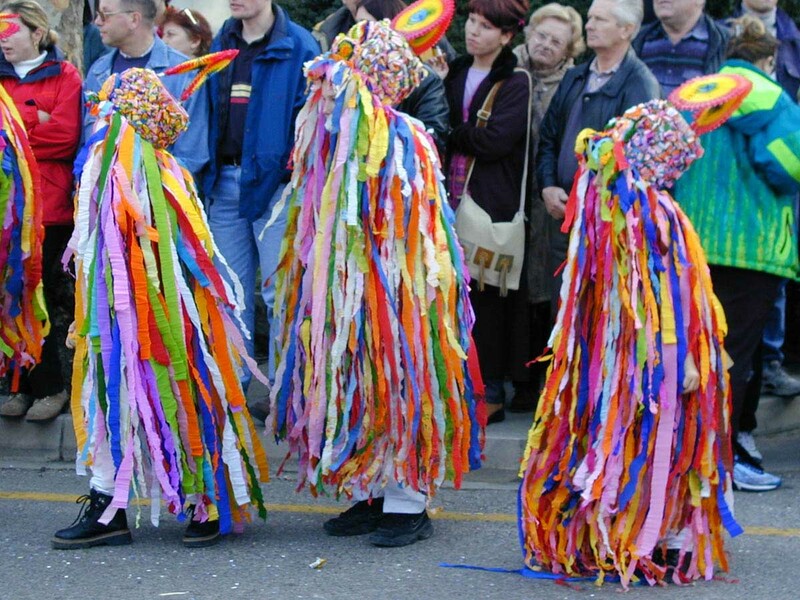 It sometimes lasts until Piñata Weekend, the first Saturday and Sunday of Lent. 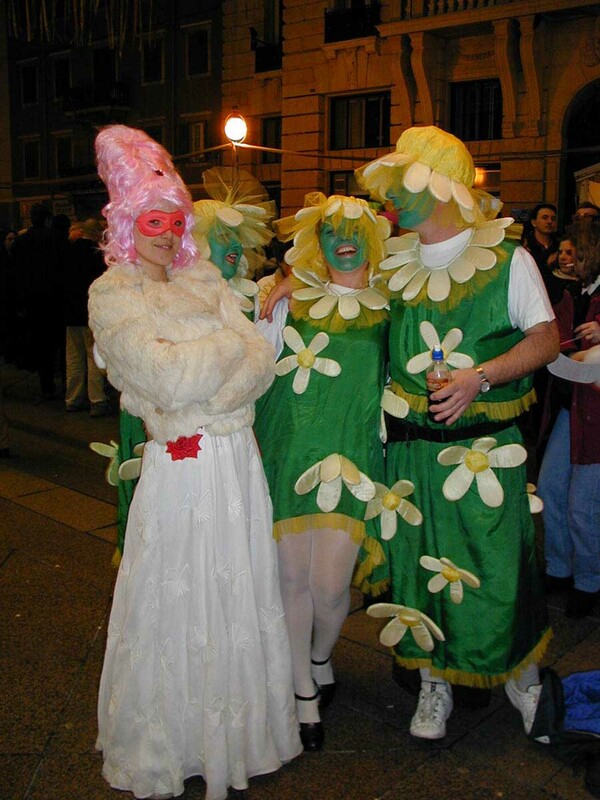 Probably the most famous carnival in the world, and certainly the biggest, is the annual event in Rio de Janeiro. 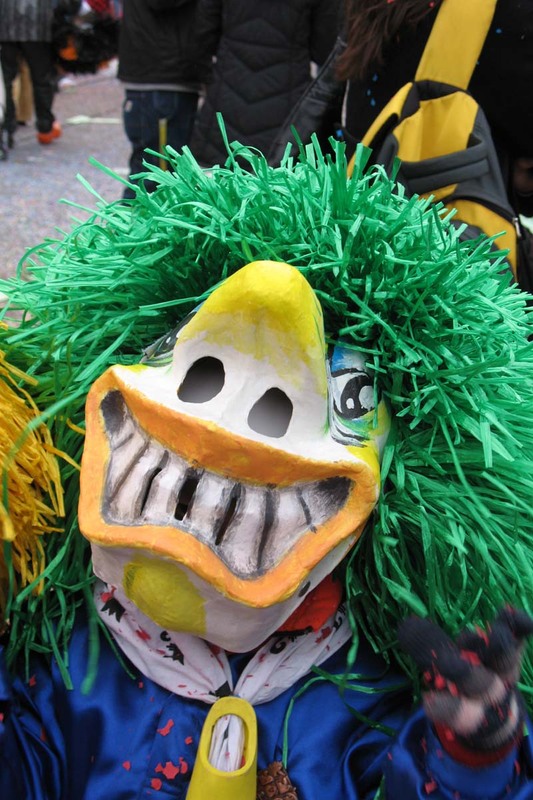 So many Samba Schools wish to enter a float in the competition that they have to be divided into 5 league divisions. 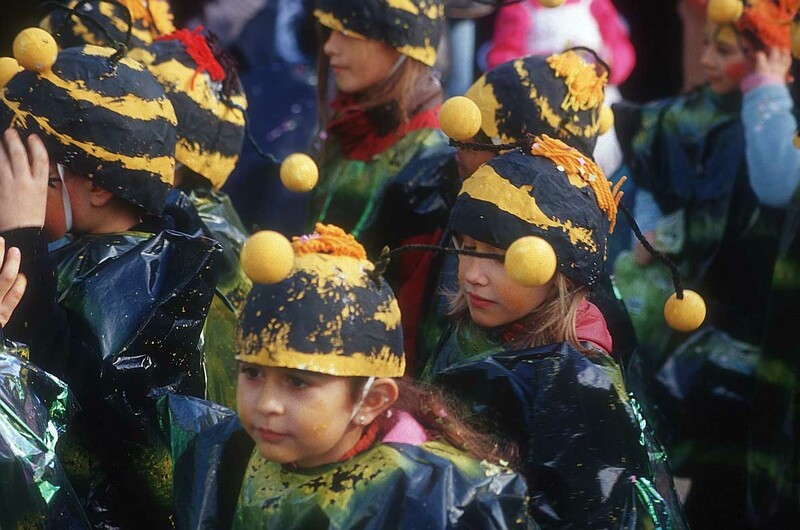 Each school represents an area of Rio where neighbours share a common ethnic or geographical heritage, and they compete in costume, music, dance and float decoration by telling a short story which portrays their chosen theme. 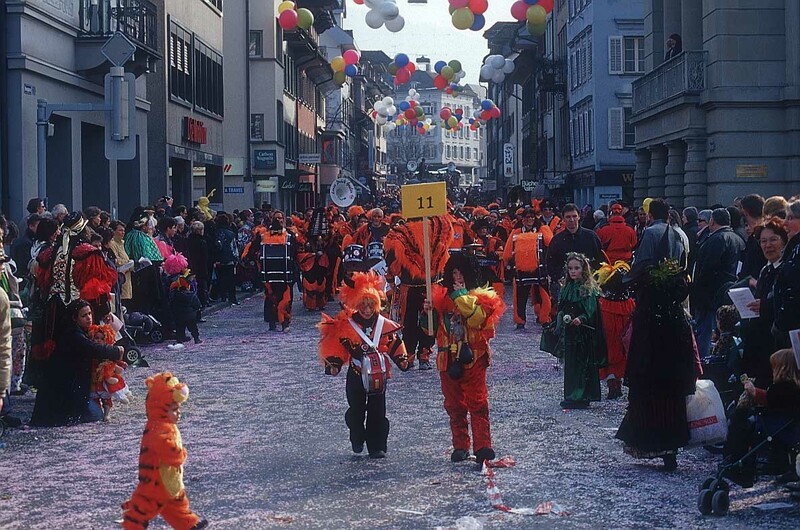 More than 2 million people throng the streets every day to take part or just watch. 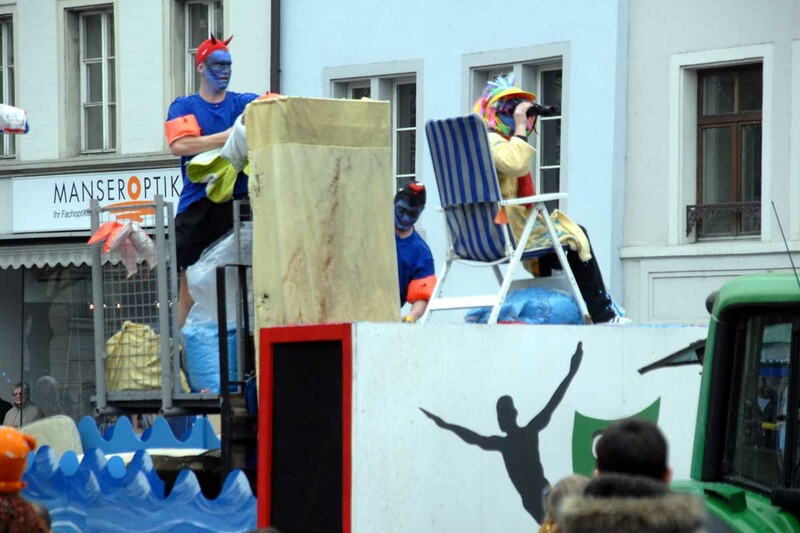 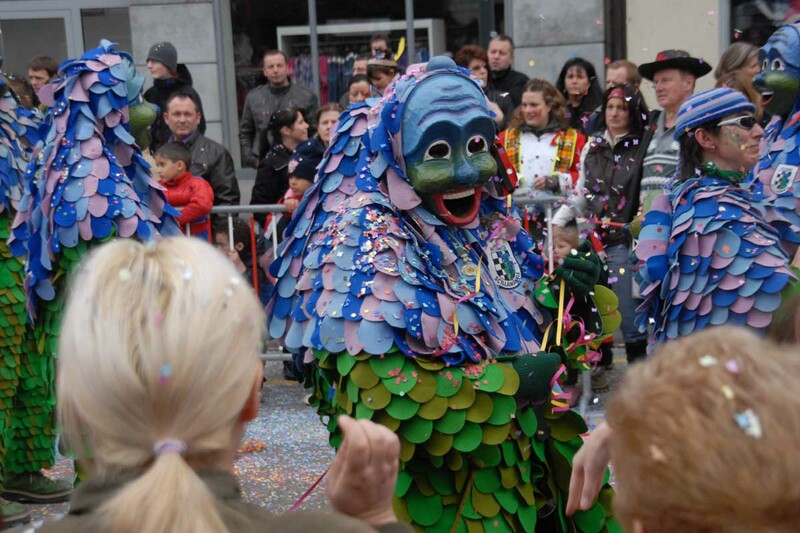 Held in August every year, this claims to be Europe’s biggest street festival. 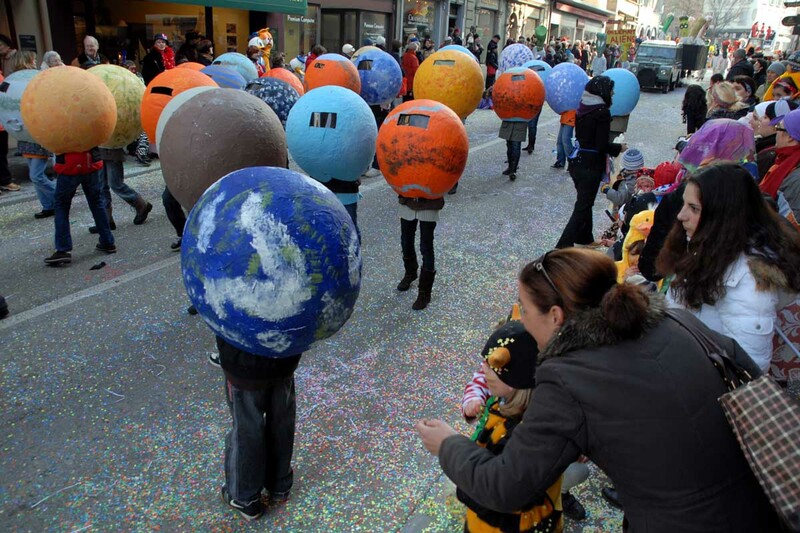 With over a million participants, the parade stretches for 20 miles through the streets of West London. 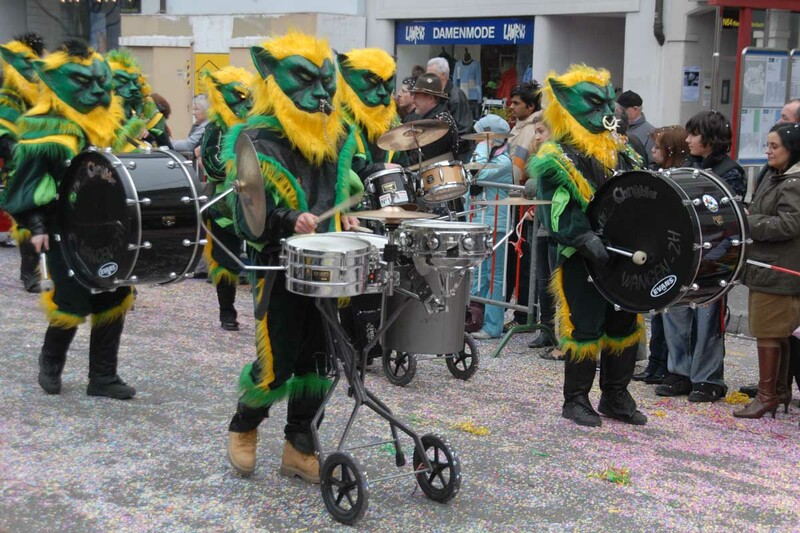 Originating in the 1960s in the Caribbean culture of West Indian immigrants, this carnival is now an eclectic celebration of multi-cultural music, dance, costume and street food. 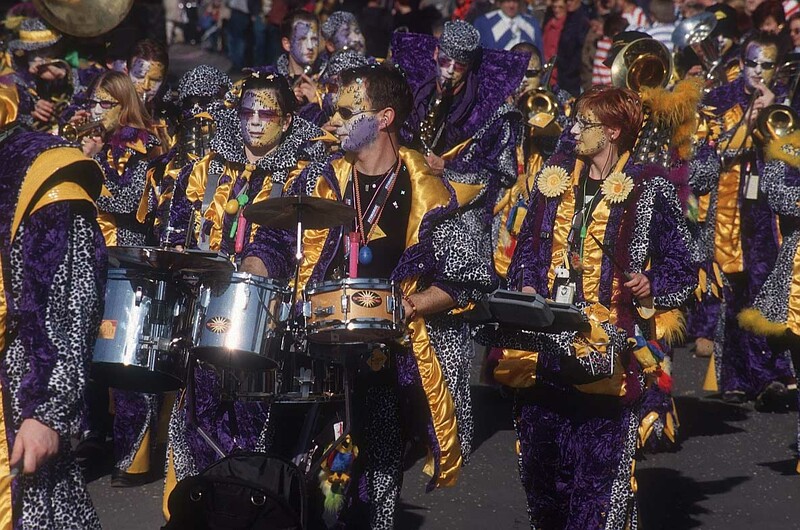 Unlike Notting Hill Carnival, Mardi Gras in New Orleans takes place in the weeks before Shrove Tuesday, and can be any time between 3 February and 9 March. 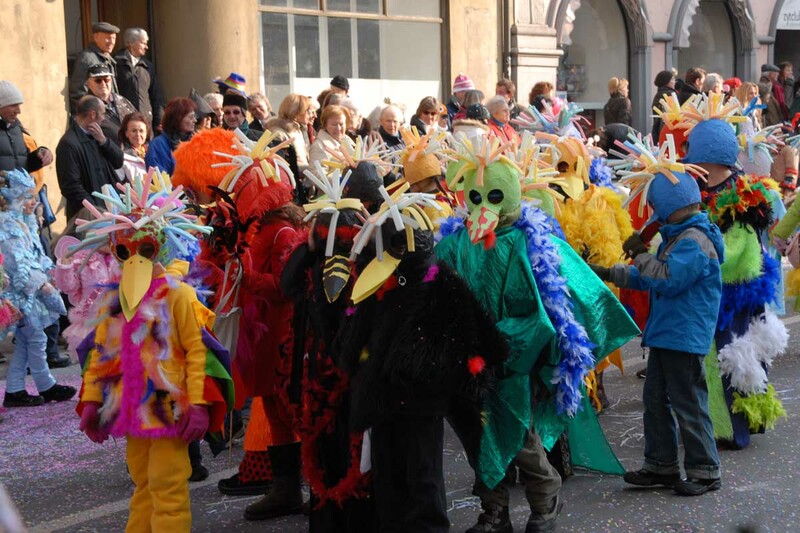 A number of large and small parades of floats and people in costume wind their way through the city from noon till dusk, and the number of visitors coming to carnival doubles the population for the fortnight. 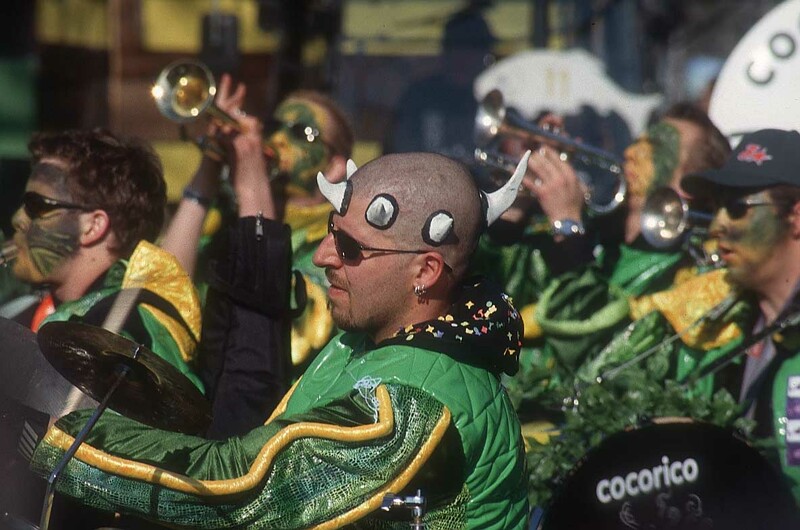 The traditional colours of New Orleans Mardi Gras are purple, green and gold, the colours of the Catholic Church, which is where its origins lie. 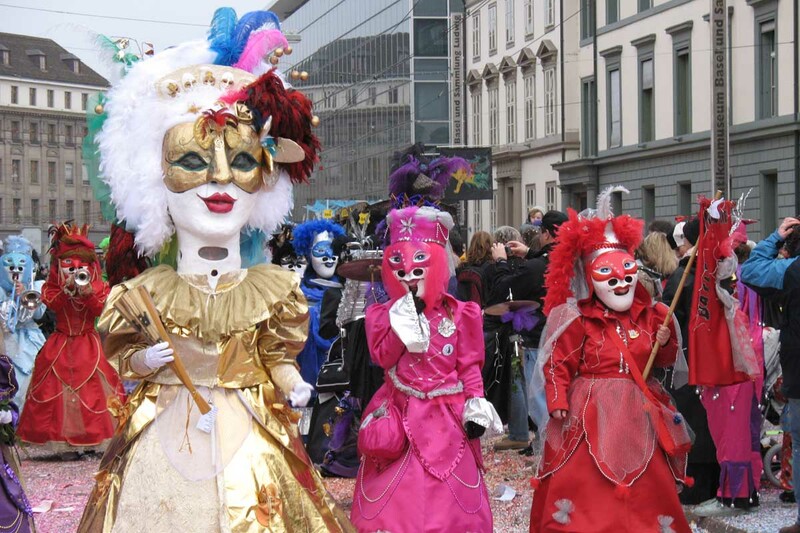 Much smaller, but definitely one of the most stylish carnivals in the world, is the Carnevale di Venezia, held annually in Venice. 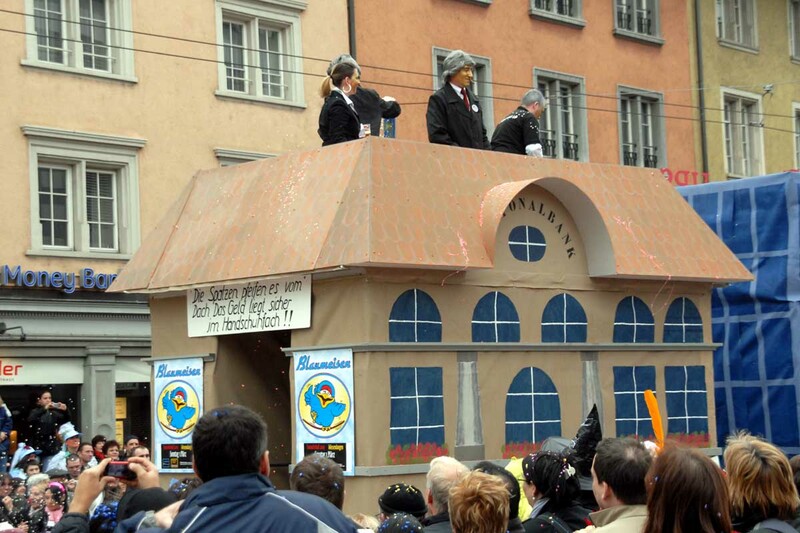 There are no floats, but instead a night time parade of candle lit gondolas along the canals. 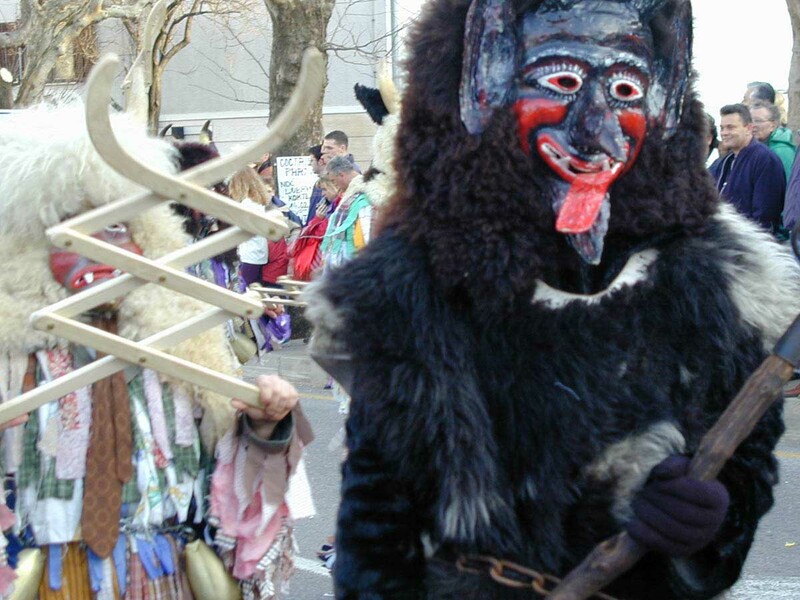 It is a time of balls, dinners and other events, but the key ingredients are traditional, historic costumes and especially masks. 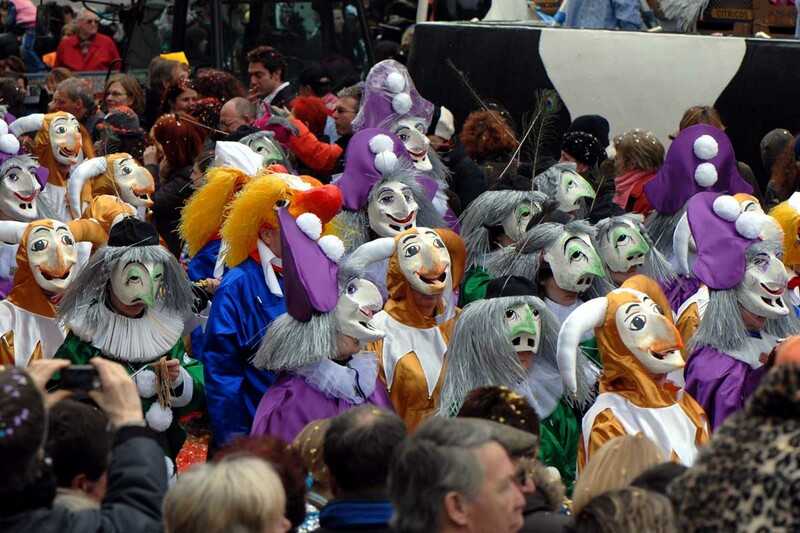 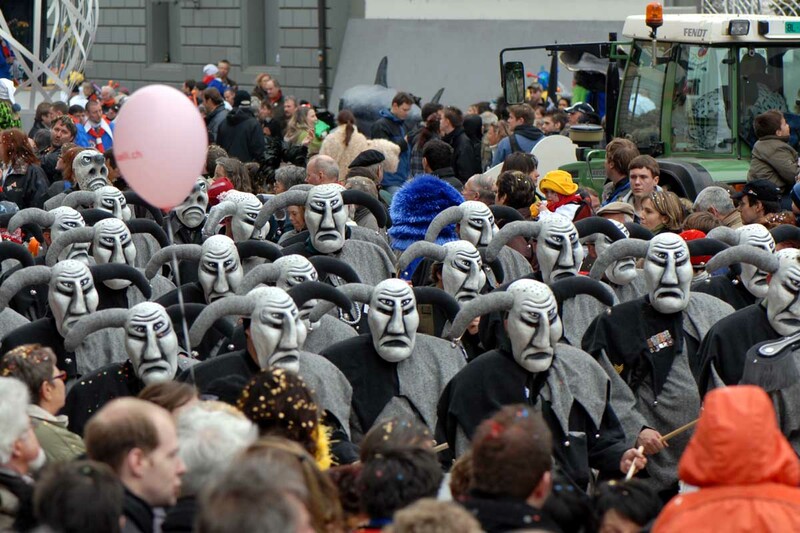 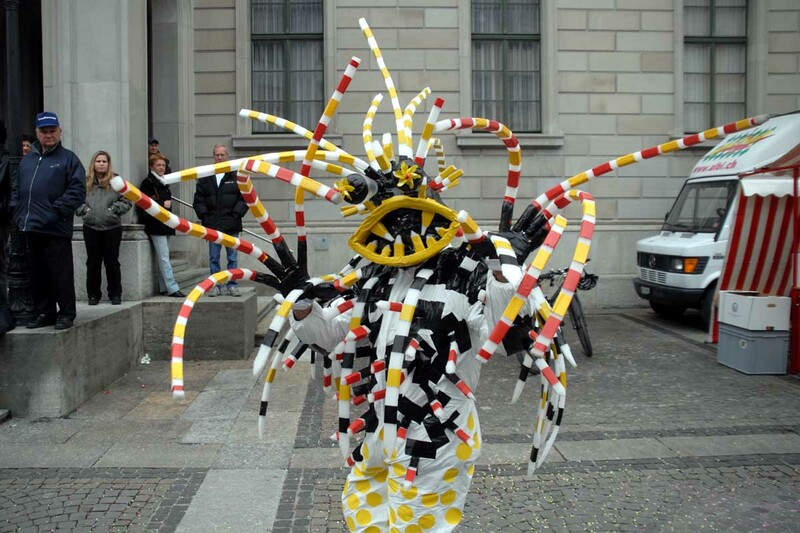 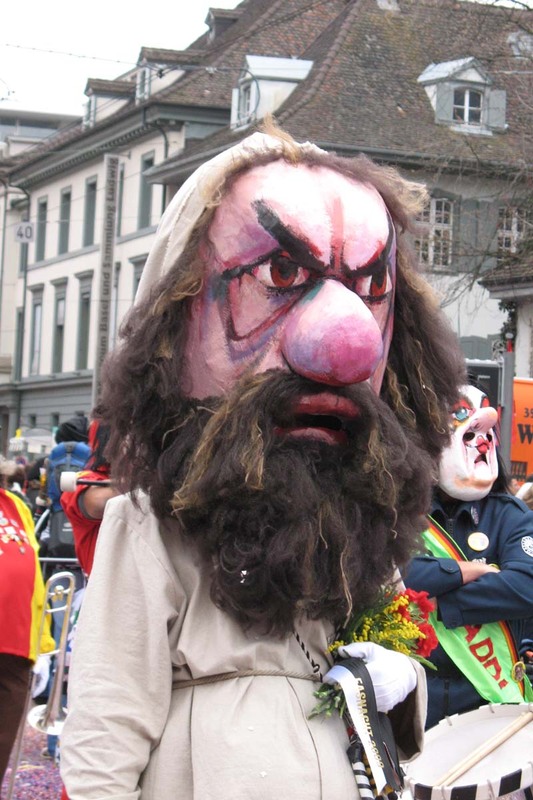 Masks are a part, too, of the parades in the ancient tradition of carnival in this pilgrimage city. 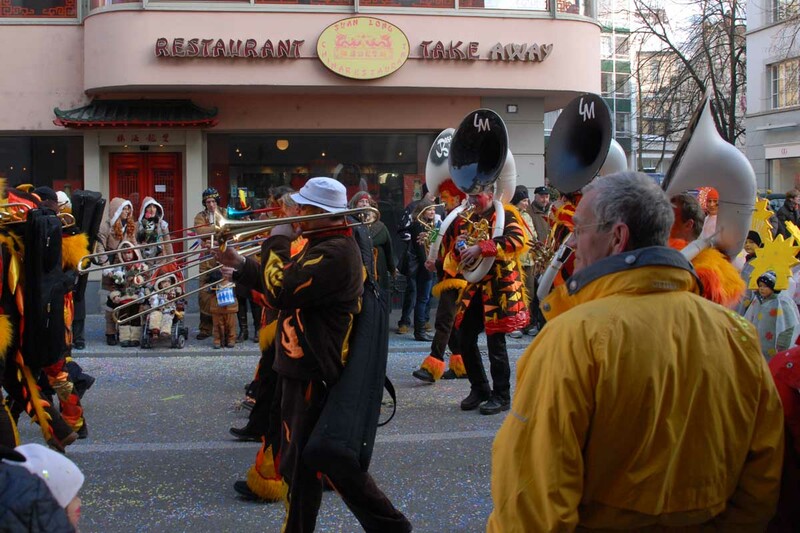 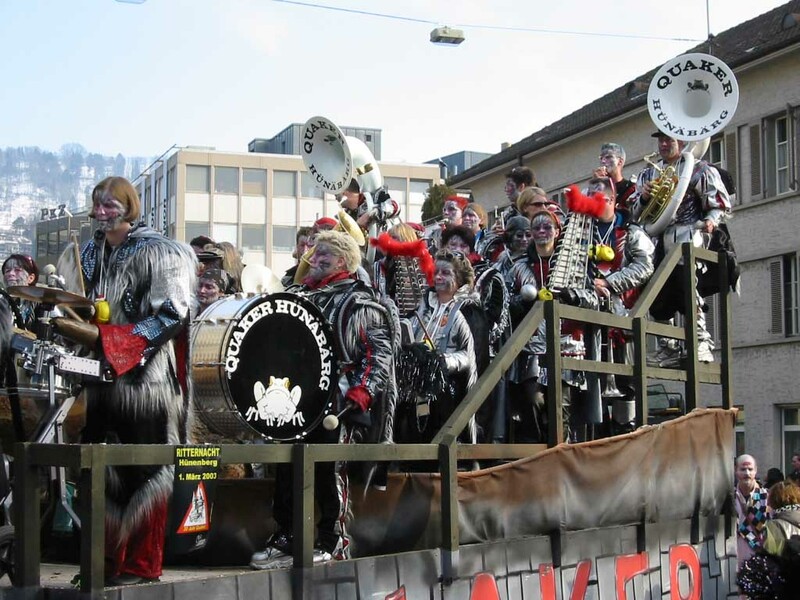 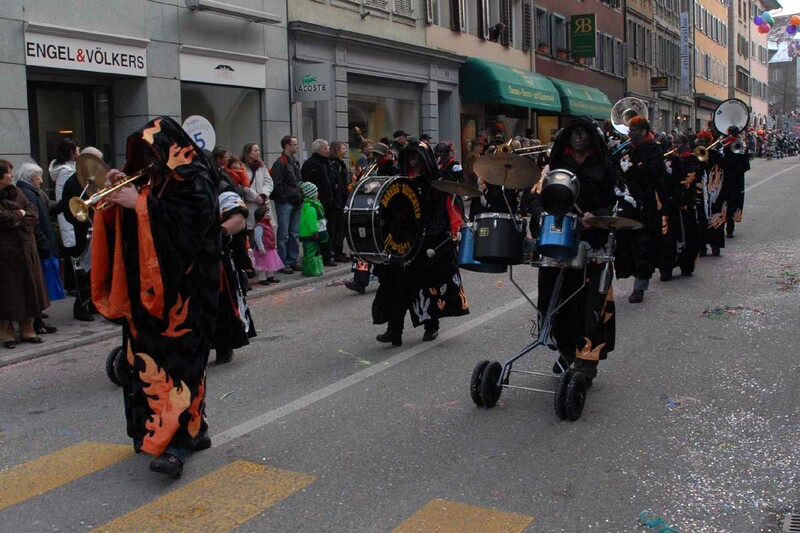 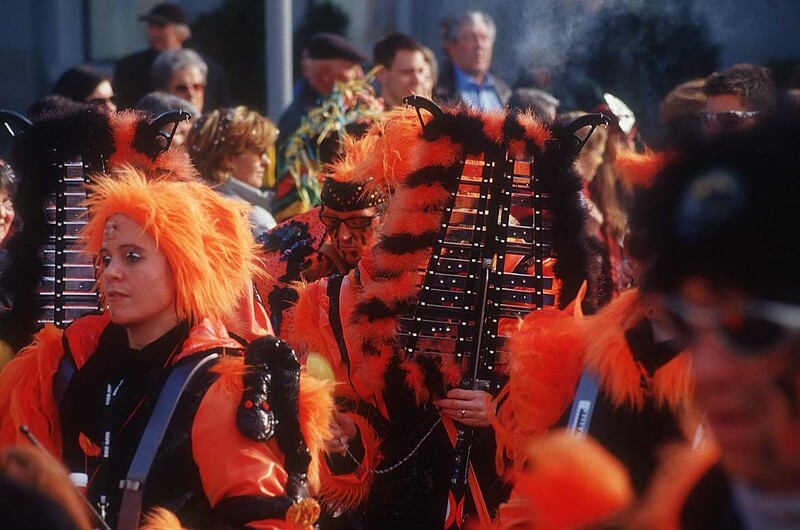 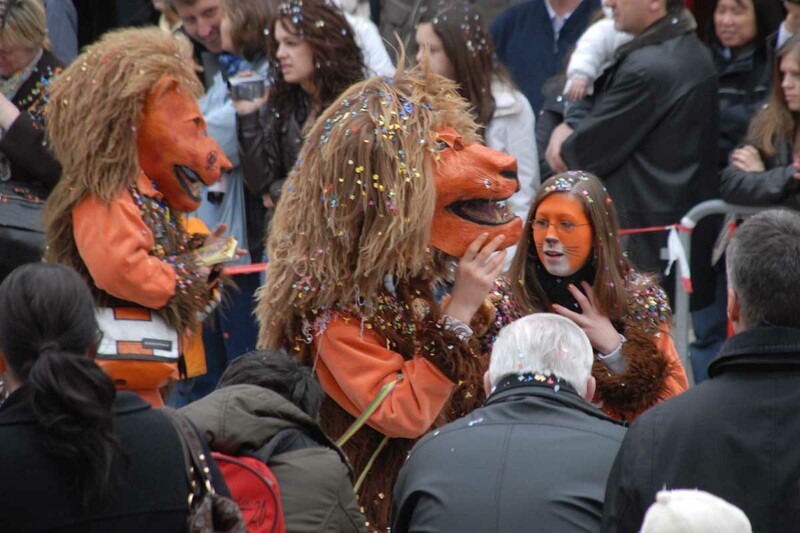 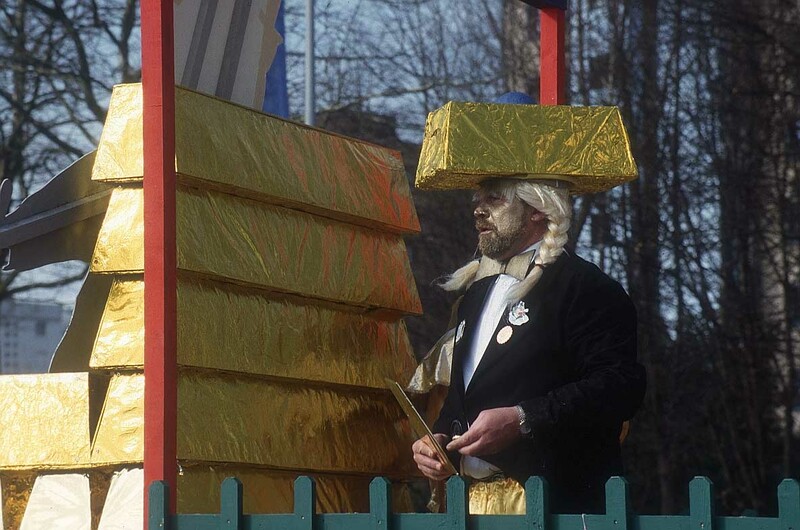 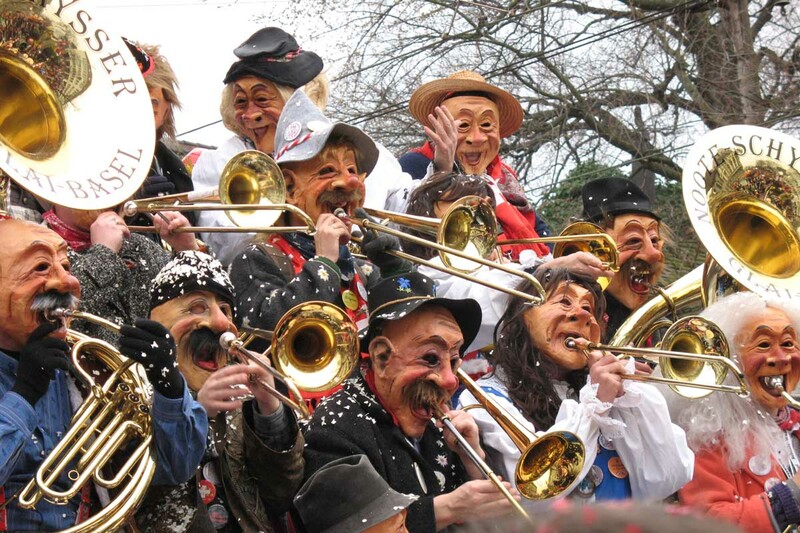 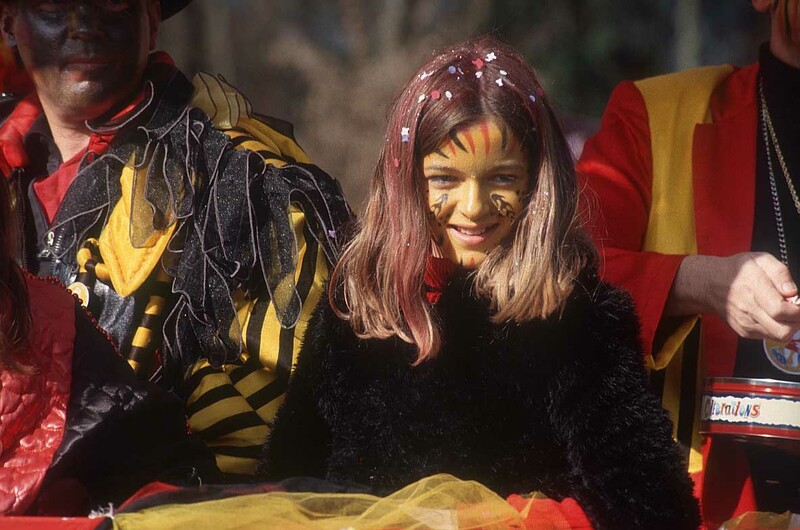 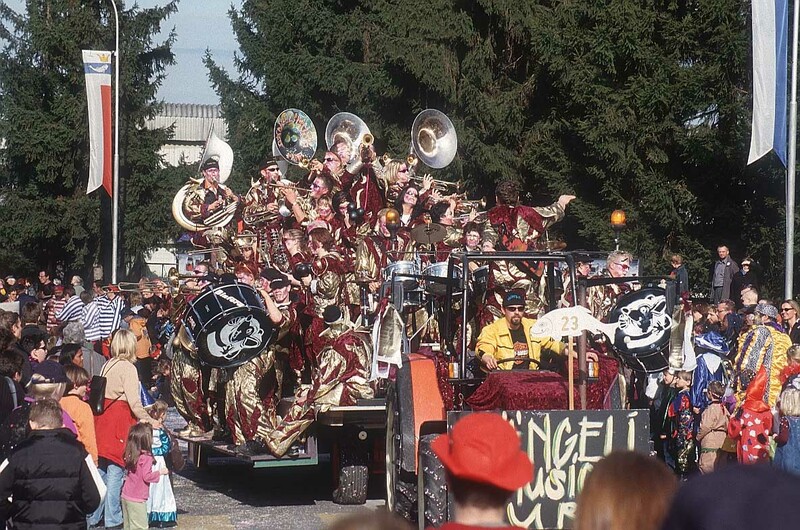 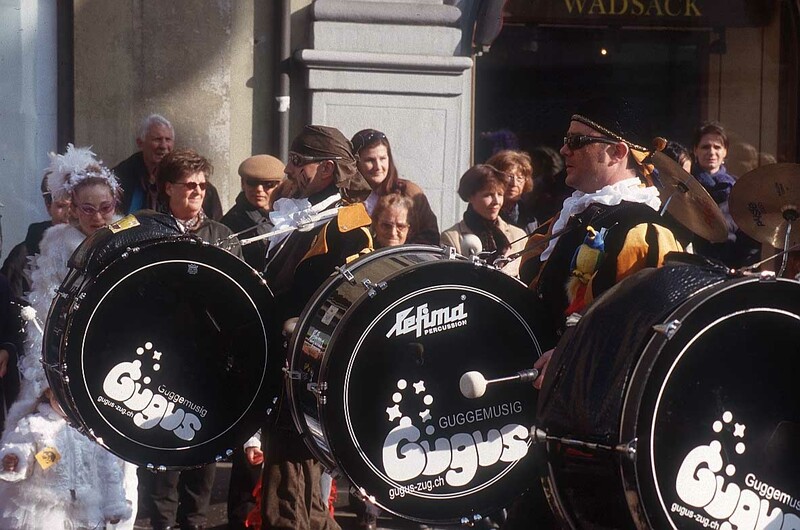 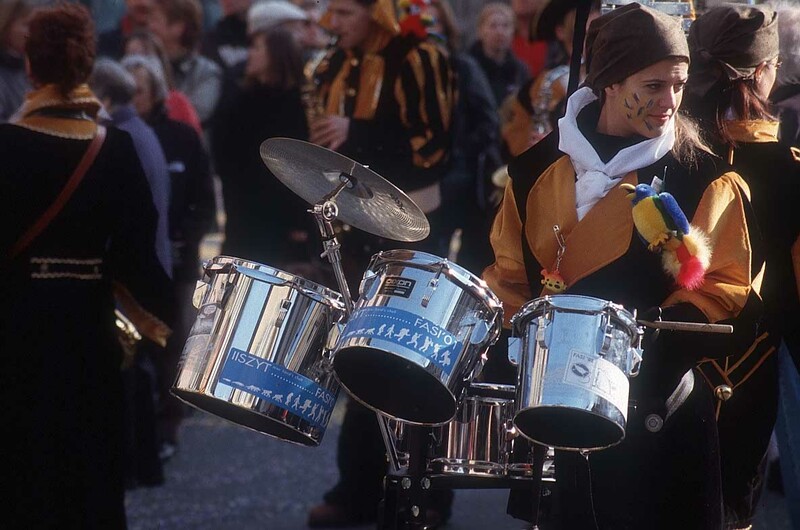 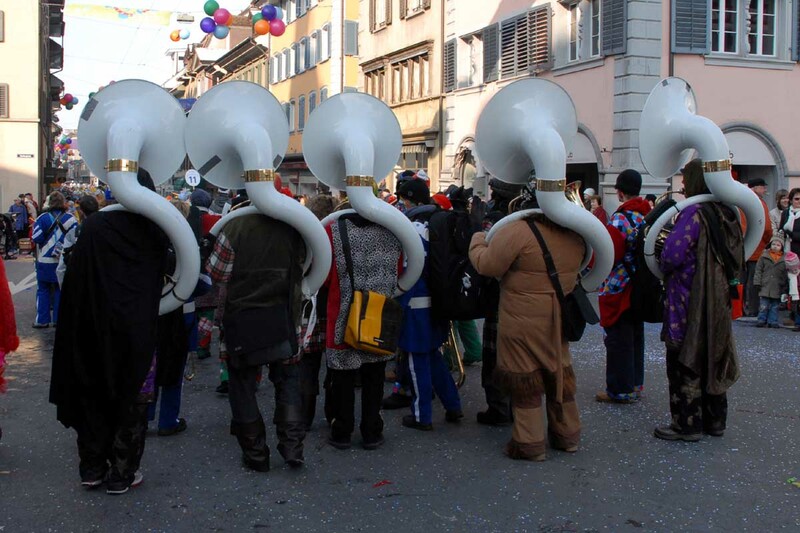 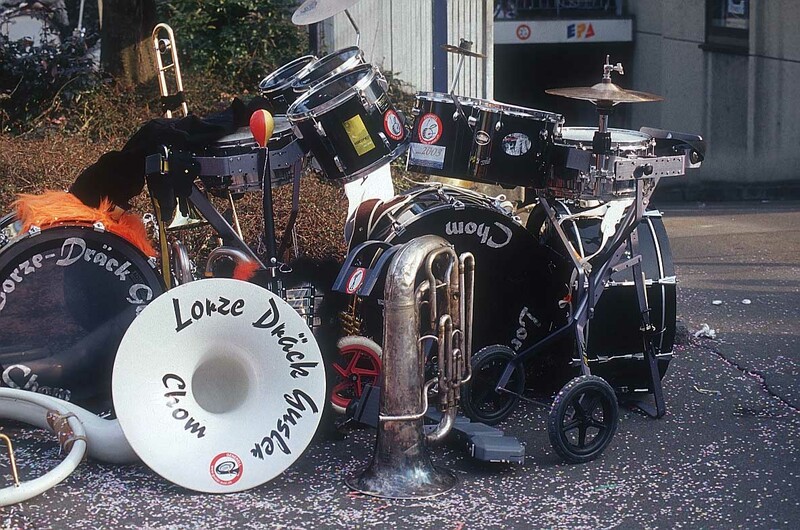 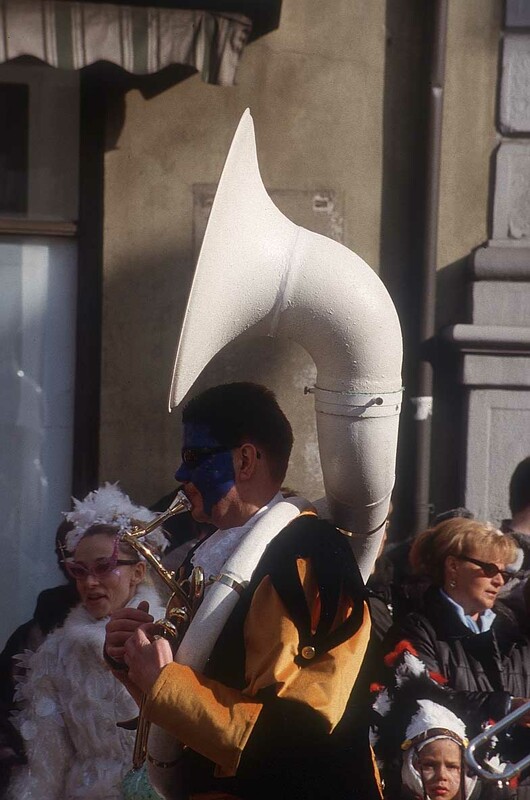 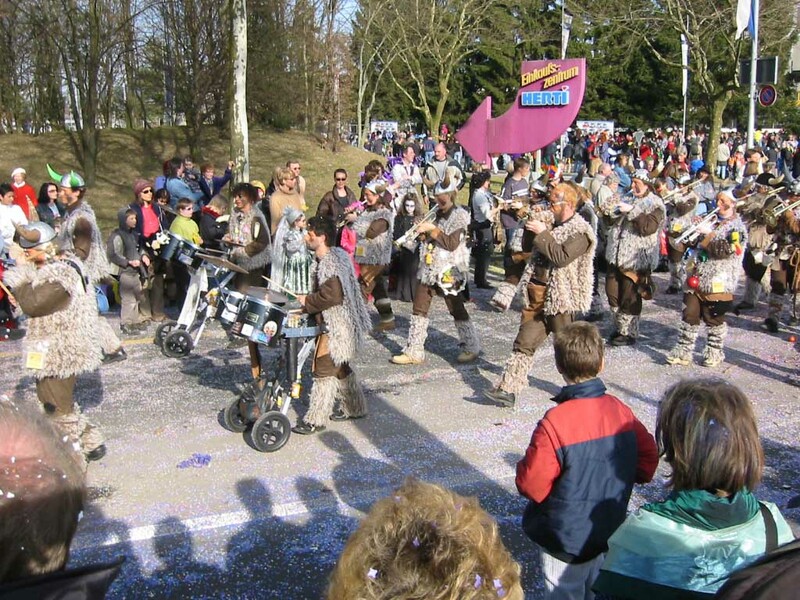 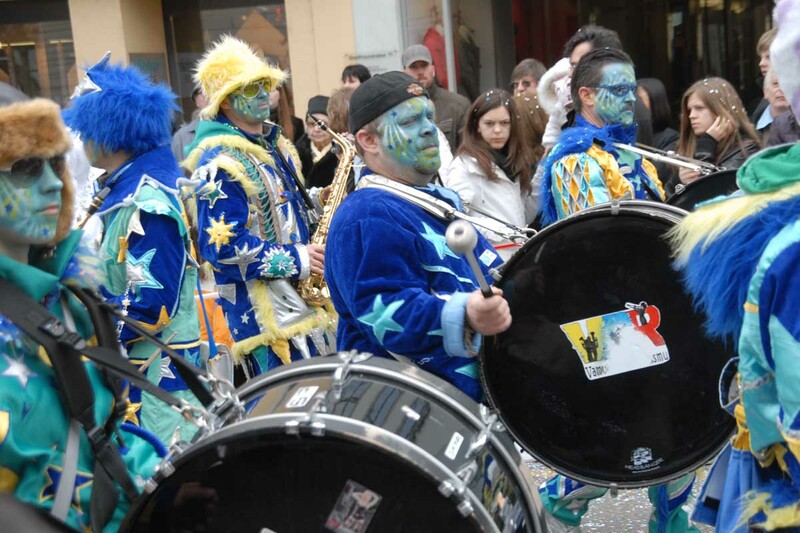 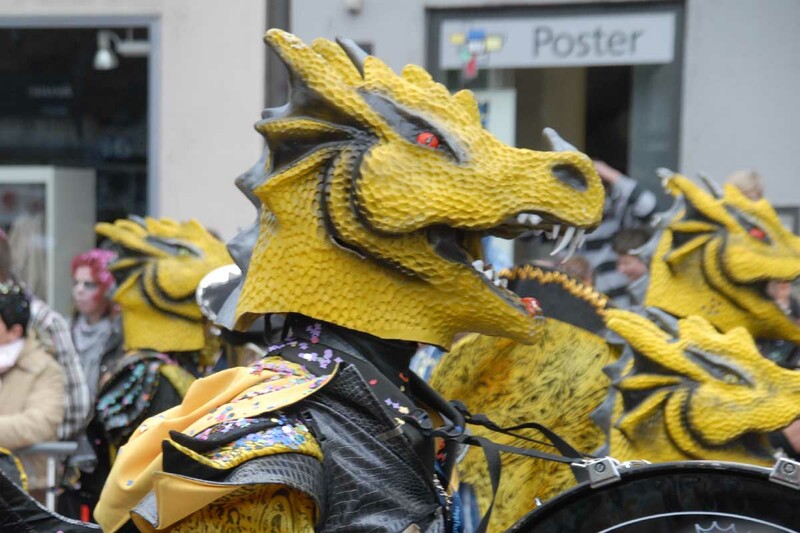 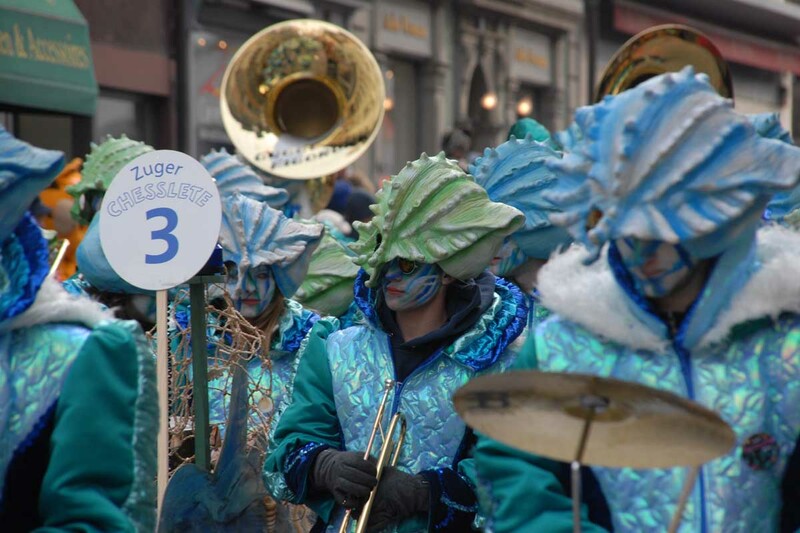 The first parade is on Shrove Tuesday and consists of floats with actors, dancers and jugglers all in colourful costumes, accompanied by brass bands. 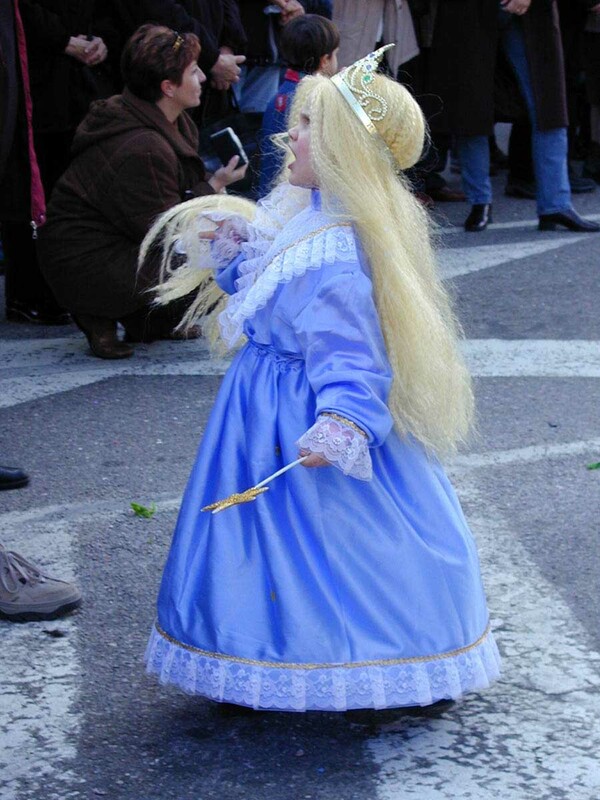 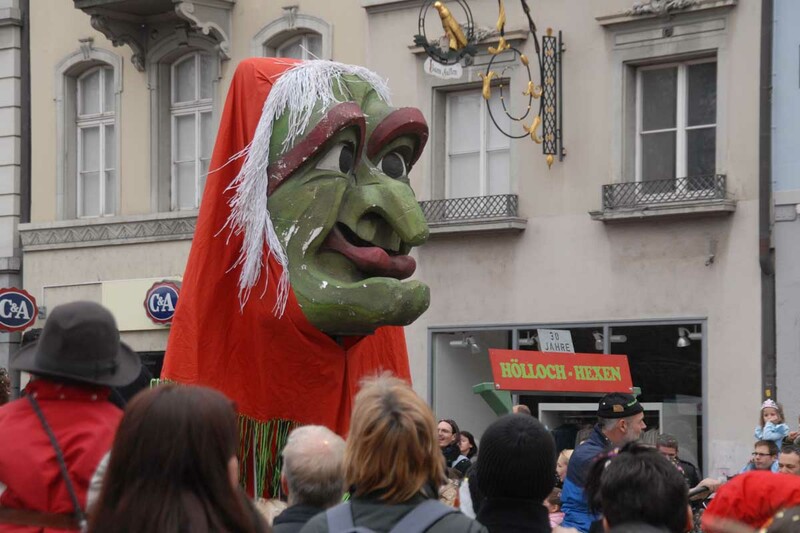 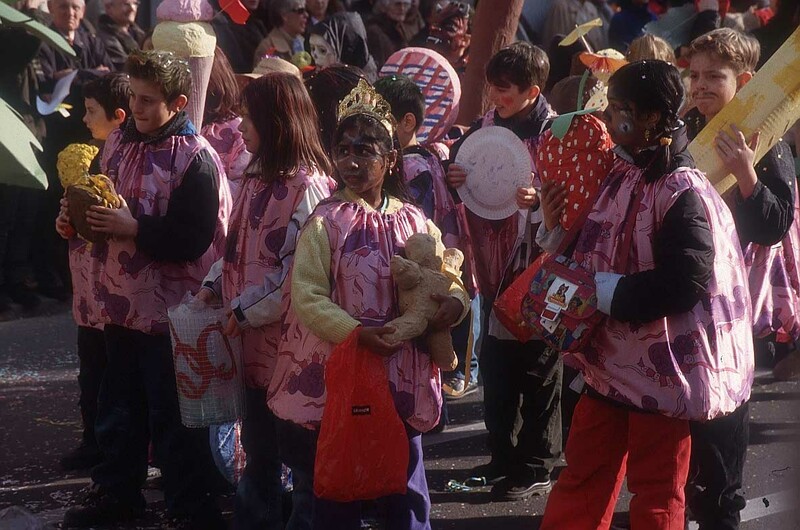 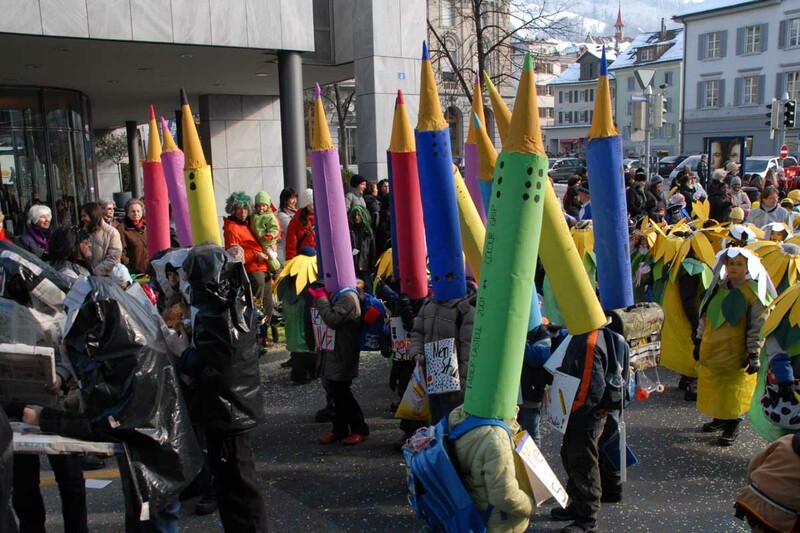 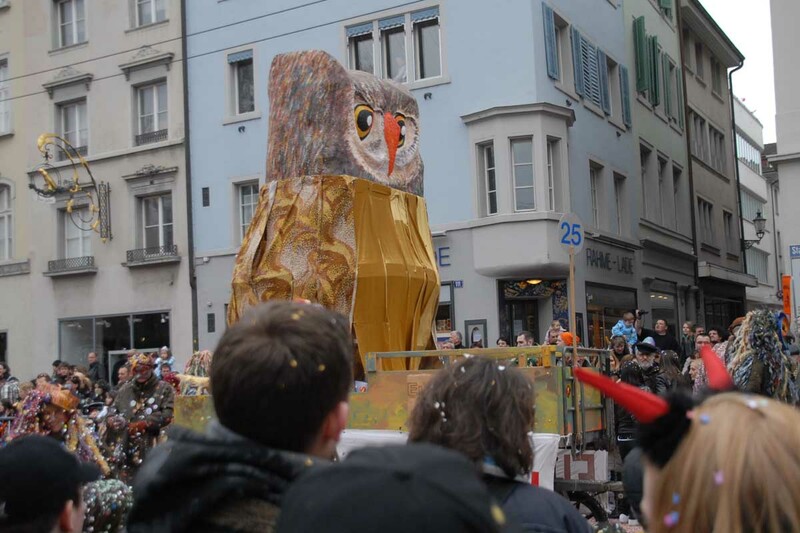 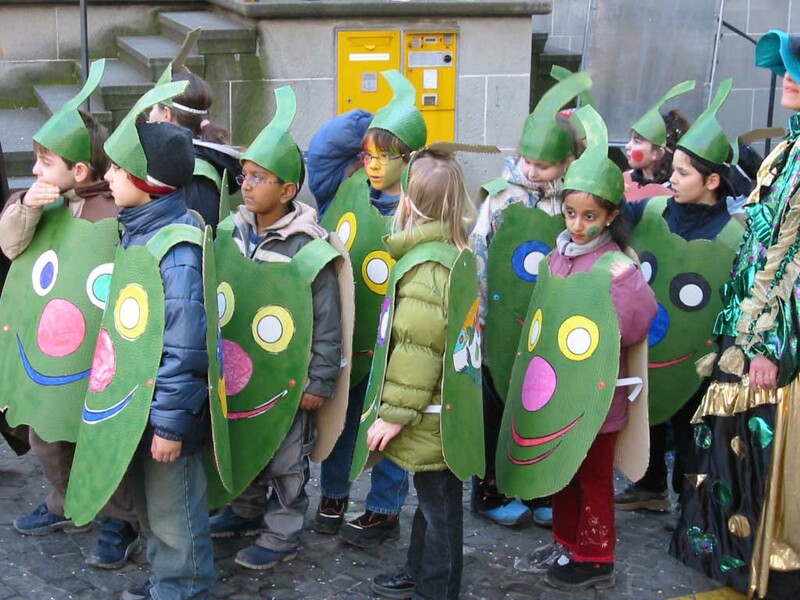 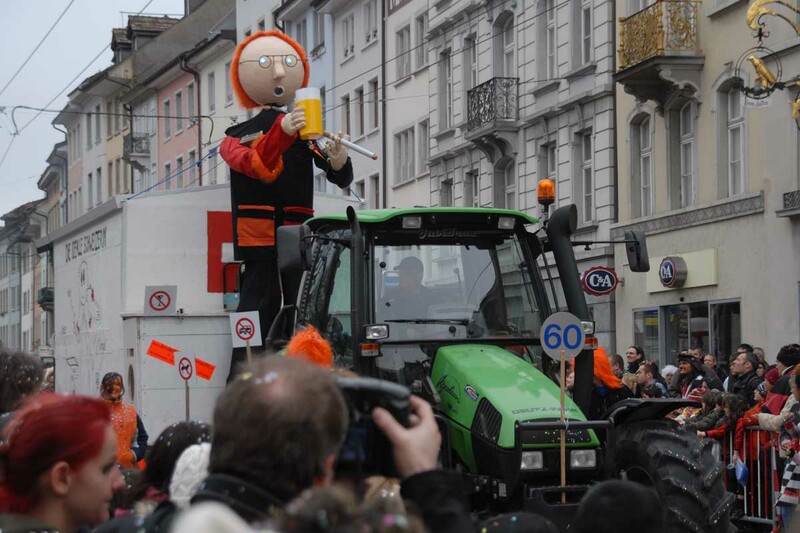 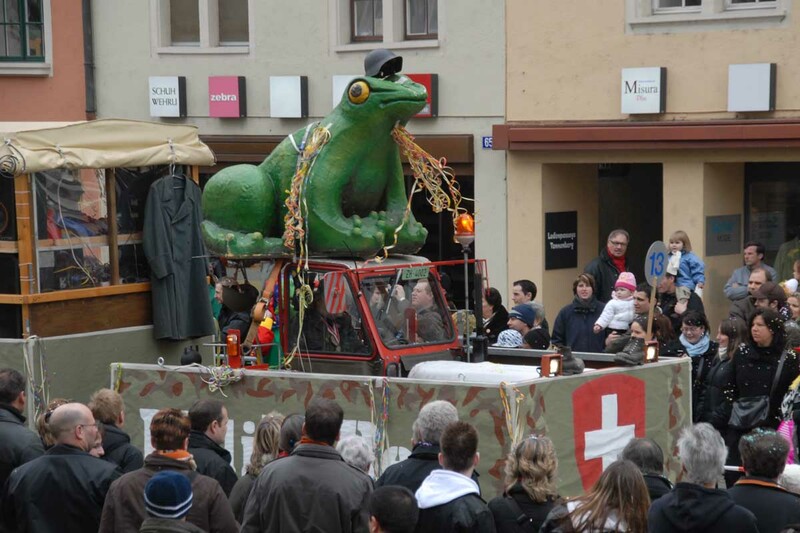 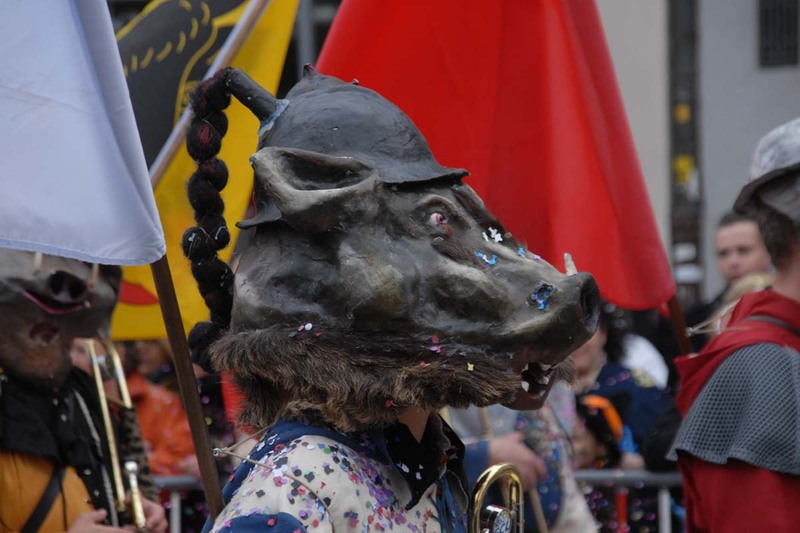 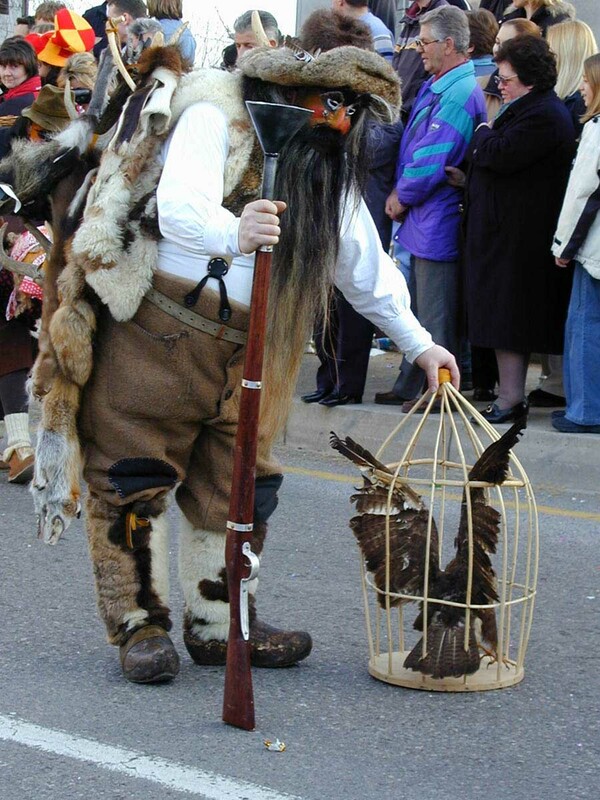 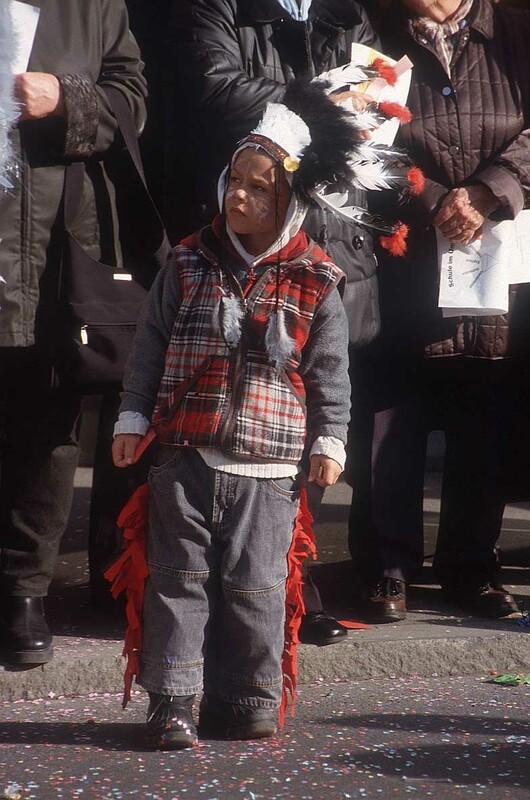 The second parade on Ash Wednesday is full of satirical comedy, including a jokey history of the past year and a burning of the King of Carnival, as well as a children’s parade.